Well it’s not every day you get to interview a rock star… literally. Today we’re talking about the rapid creation and success of Steve’s new book. PRACTICE LESS, PLAY MORE! is a book that helps guitarists learn songs faster by using the same techniques Steve (aka VØID) uses to learn songs, riffs, and solos in 30 minutes or less. TODAY Steve’s new book goes live on Kindle and Amazon after already reaching #1 Best Seller in 30 categories across 5 countries just with pre-orders alone. If that wasn’t enough of a reason to pick Steve’s brain for you, he achieved all this, after only getting the idea for the book 6 week’s before hitting #1. What’s it’s like to be a fair-dinkum rock star, touring with KISS and playing to crowds of tens of thousands. How Steve’s online business started and how he now works with “Bucket Listers” who always wanted to play the guitar…..yep that’s me! The EXACT steps Steve implemented to go from concept for his book “Practice Less Play More” to bestseller on Amazon in 30 categories across five countries… all in only six weeks! Oh and by the way… that time frame included Christmas! How you can get Steve’s help to get your own book done and best-selling. To help you implement, I’ve included below the exact timeline of Steve’s process from idea to best seller, plus the key steps you can use to plan out your own best selling book launch. BUCKET LIST ALERT: Tomorrow I have a private lesson with a rock star guitarist 🙂 Yep Steve and I, different sides of the world, Zoom, guitars and a promise I’ll be playing one of my favourite songs within the hour. You can watch the video, listen to the audio, download from the podcast directory, or read the transcript below. Never miss an episode. Click here for all the ways you can subscribe. Here’s the exact timeline of Steve’s book creation and launch, with the steps he completed at each stage. I’ve also broken each step down for you into the stages I can see you need to plan for, plus some tips from my interview with Steve, on what I see contributed to his success and lessons you can take away to apply in your own business. I love how Steve didn’t go straight from his short outline to writing. He knows the fastest way to reach your goals is to find others who have achieved what you want to do and learn from them. He looked for how to structure a book, how many words to write, what software to use to write, “hacks” to get the book written fast, how to self-publish, how to pre-launch, how to be a best-seller. Set a time frame around finding information so you don’t get Analysis Paralysis. Steve only spent one day. Steve shared that he has a house full of people for Christmas so he could only write in short blocks of time. Yet he still managed to get the first draft of a 250 page book done in a week. His approach was anti-perfection. This is what stops most people ever finishing their book. Steve is a person who thrives under deadlines and sprints of action. You may get your energy in a different way (for example setting a schedule of a certain number of hours per week, or day). The important thing is to work on writing while you have the excitement and buzz for the project. Resist perfection. A draft is just that – a draft! Repurpose any content you may already have, for example from blog posts etc. Keep momentum by working in time batches when you are motivated and excited about the project. This is key to the success of Steve’s book quality and especially to the success of the launch of the book. Steve reached out to clients, subscribers, social media and friends and invited them to be part of the Launch Team for the book. People LOVE to be part of something. As Steve puts it “they like to have something interesting to share when people ask “what have you been up to lately?”. So give them an opportunity! This tribe of people reviewed the draft, gave feedback, were the first readers (which means when the book goes live they can be the first reviewers), kept him motivated and importantly, shared with everyone when he was ready to accept pre-orders. Invite people to be part of your Launch Team. People love to be in the inner circle. Ask people who know your work (so customers) to give feedback on your book content. When it comes to self-publishing on Amazon, the keywords you choose and the categories you list your book in critical. Do your research on which categories and keywords not just fit your topic, but also have less competition. This increases your chance of hitting #1 in your categories. Amazon has a great platform with how-to videos to show you how to self publish simply. When the book was available Steve didn’t just make it immediately available. Instead he set a launch date and used the 3 weeks prior to the launch to build a buzz and take pre-orders. This is where the Launch Team really help you get momentum. They helped share the word and this was made even easier for them because Steve linked all sales to his charity work he is so passionate about. All proceeds from book sales are being used to create new programs for cancer patients and their caregivers through Steve’s fundraising initiative VØID Cancer. Don’t go live as soon as the book is written and uploaded to Amazon publishing. Set a pre-launch period to build a buzz. Involve your tribe to spread the word. If you have a charity or cause you are passionate about, consider donating part or all sales to that cause. This inspires people to share and really, you only need to cover your costs because the money in a book is made on the sales of your programs and services, not the book – so be generous! So is a book ideal for you? Crazily, books hold heaps of credibility, even if you already have lots of great content out in the word in the form of programs, free ebooks, videos, blog posts etc. So yep, if you know what you will be selling in your business then a book is a brilliant way to reach more potential customers. So if you have that book idea and just haven’t taken action, here’s my challenge to you. Set yourself a deadline and go for it baby! You can get a copy of Steve’s book here. You can check out Steve and his work and also contact him. He’s keen to hear your book ideas and give you guidance. Thank you so much for being here. I know there are a lot of podcasts you could choose to listen to and you chose to join me on Romance Your Tribe Radio. I’m honoured and grateful for your support. If you enjoyed this week’s episode, I’d love for you to take a quick minute to share your thoughts with us and leave an honest review and rating for the show over on iTunes! Janet Beckers: Hello everybody. Janet Beckers here and welcome to Romance Your Tribe Radio. Really excited today because I’m feeling like I’m super cool kind of like rock chick today because I’ve got Steve Mastroianni who is about the rockstar minds, so hi Steve. Steve Mastroianni: Hey Janet, thanks so much for having me. Janet Beckers: It’s um, Steve and I met, we actually met in Puerto Rico, didn’t we? Did we met him? Janet Beckers: Yeah, like very briefly, quite a about a year or so ago with Steve reminded me because we just recently connected through a forum through a mutual friend, James Franco and um, and Steve was sharing this fantastic wind that he had done. And I’ll tell you what, it wasn’t a minute cause I just thought, you know what, Steve, I have got to get you come and share this with everybody that is listening. So, um, can you just briefly say like what the share was, what the wind was, and then before we go into the details, I’m just going to introduce you a little bit in the font, a bit more of a back story. Steve Mastroianni: No problem. Yeah, the win that I shared was that my new book practice less play more, um, hit bestseller on Amazon in 30 categories across five countries. And I did it all from idea to bestseller in only six weeks. Janet Beckers: Wow. That is just from somebody who has written, I’ve written quite a few books and also taken books to Amazon. Yeah. Top number one. And I can tell you there’s a lot of moving parts. There’s a lot of moving parts involved in that. So when I heard that it’s just like, this is pretty astronomical what you had done. Steve’s so thank you. So we’re going to dive into that today where I’ve asked Steve if he can share with us how did he do that and some really, you know, what things were important and what things didn’t you worry about doing to be able to achieve something like that. So we’re going to go over and what you to get ready to take notes, everybody, because you know you’re going to get some great ideas on things that you can be doing in your business. Now before we do that, because there’s one thing to say, yeah, a book, but that’s kind of just something that is a message that is getting out there. I mean, the message comes from that. You know, there’s the person behind it who has the message to share and why they are actually wanting to share that message. And so that’s what I really wanted to dive into a little bit first with you, Steve. So people get to know you. And as everybody’s listening here, I want you to also think about the way that Steve is sharing his message. He’s why the reason he has his business and why he’s doing it. I want you to think yourself. What about with me? How do as, as much as I’m loving this interesting story, how would I tell it if I was Steve and how that would relate to the future book that I might write? So there’s my challenge. So I it to used Steve, first of all, who is it that you help and how do you do that? Steve Mastroianni: Yeah, so my, my audience is primarily guitar players. Um, I would say a beginner guitar players, um, adult beginners typically ranging from about 40 years old to even, I just, I’m beyond, I mean, um, I I mainly focus on bucket list goals and helping people make, you know, those big rocks are dreams come true. Um, uh, really love it when someone says, oh, but you know, my hands are best, or I wasn’t a music in a musical family or whatever. And then just proving them wrong by, you know, blowing their mind. Um, I love helping guitar players, um, guitars. One of the only things, one of the only activities that activates pretty much every part of the brain. So I also know there’s so many other benefits to learning the car. And so a guitar has been something that’s been a big part of my life for, for many, many years. And, um, basically I started playing guitar because I kind of reverse engineered a whole plan, even as he, as a teenager where I wanted to travel the world in order to travel the world. I knew that it would be more likely if I was with other people. And, um, and so to do that I thought, you know, it’d be fun maybe putting together a band in order to put together a band, I should write songs. So in order to write songs, I should probably learn how to play guitar. I was a drummer back then, but I thought, you know, let me pick up guitar and um, and learn how to do that, how to write songs. And so one thing led to another and eventually, you know, band after band, I ended up getting, um, s I started a band in 2009 called the envy and we were the first signing to gene Simmons, his record label called Simmons records. Um, he was coming up to Canada to a scout new bands and we were the first signing. Janet Beckers: Wow. That is huge. And for anybody that doesn’t know Jean signs like shame on you. I mean this is it. This kiss I was sharing with Steve just before we came on that they’re very, I remember the very first time that I got up on the shoulders of them. I have a boyfriend at a music festival and did the whole, it was at a kiss festival. Steve Mastroianni: That’s awesome. Where did you, where you wearing the makeup? Steve Mastroianni: exactly. That’s awesome. Steve Mastroianni: that reminded me of something, um, that, so there was the reverse engineering, which is kind of insane that I understood that back when I was like, you know, 12 years old that I just thought like that. But um, one, one very important thing, a few years later when I was out of high school was that I want it to be a professional musician obviously because that whole plan and I thought there’s no way that I’m going to be able to do that. If I’m flipping burgers at Mcdonald’s was like, you know, a kid, my, my two out of high school and I thought I have to have a guitar in my hand all day. Um, and in order to do that, in order to technically be paid to play guitar first, I started by teaching guitar. So back when I was, you know, 17 I started a guitar teaching business, going House to house. And um, and so I had a guitar in my hand all day and that was the plan because if I was, you know, smelling like cheese burgers when I came home and tired from all that playing guitar and writing songs wasn’t going to be as effective. So I kind of hacked away into being, coming, becoming a professional so that all I was doing all day was guitar and writing songs and getting better at coaching. And you know what, this reminds me of the Beatles with, you know, the 10,000 hours that’s in, um, Malcolm Gladwell’s books is that the Beatles got to be so fantastic because they went to, I think it was Germany where they had like, you know, 24 hour clubs where what he was was playing and they went there and played and played like for hours every single day. And they went there because they wanted to be the experts. They wanted excellence and it was getting those thousand hours in. So that’s, um, that was pretty wise. It’s actually, so that’s a really great thing to bring into your business that if you’re aiming to create a lifestyle business and you have to have excellence doing what Ivar, well, make you find a way of actually developing your expertise. Steve Mastroianni: So many ways. I mean, there are so many different ways to make money out there and, um, and it might not be a straight line and might not be obvious. Um, you know, you’d think a little bit outside the box, um, and, and you could find something for sure. I’ve always able to make, you know, I would, I’d have different pairs of jeans that I remember because I was living at my dad’s place that I would kind of forget. Like I go into the closet and I grow a pair of jeans and I put my hand in my pocket. I have like a wad of cash and as a 17 year old, like I was rich, like 400 bucks in my pocket. I didn’t know that. I forget about this is like free money, right? And there are ways to make money for sure and that better in line with your, uh, your goal. Janet Beckers: I love it. That is, I mean, even even if you don’t remember anything that we’ve done it day to day because of course it’s not going to happen. That’s really, really good point is, you know what if they’re, if you’re aiming for here, what can you be doing that’s going to, you can be making money that’s going to give you that expertise at the same time. Like knock it over. That is, that is brilliant. So now let’s move on because we’re moving over to the business that you’ve created and book. So we’re leaning towards the book. So one thing that I found really interesting is your book, um, and you’ve also taught it really closely with your business is also has a link with cancer. So yeah. Would you mind sharing with us how you’ve linked cancer with your book and why? Steve Mastroianni: Yeah, so I, and I know for anybody listening to that, it’s like, you know, the story kind of jumps from some those unexpected twists and turns and you know, um, this, this, um, this specific one is actually, um, this was the definitive moment in my life. Um, you know, obviously getting signed by Gene Simmons. We, um, my band, we, we open for kiss a cross, you know, um, North America and Mexico. We played 34 shows with them. And, um, there was this, it was a crazy, crazy time in my, uh, my twenties. And what happened was in 2013 when we were making plans for, you know, what to do for the rest of the year, um, I got a phone call from my father telling me that he was just diagnosed with stage four colon cancer. And you know, I, there was one of those moments where you just every like everything stops, right? Everything is like in the movie. Everything just, just sort of stops. And in that one moment I knew that my music career, like pause, there’s nothing like, there’s no way I calculated in that moment that if I were to continue it would be unfair to my father and fair to, um, to me unfair to the band and fair to offense. There’d be cancellations like crazy. I just understood that in that one moment and as, as hard as it was, um, to, to make that sort of the, the decision, um, to sort of, to put that on pause because we were, you know, we were on the way up. Um, I had to be there for my father. My father is the why I was mentioning before I played drums. Um, he’s the reason why I play, he bought me the drum kit. He’s always my number one fan. And, um, and so this was my turn to give back and to take care of him and be there for him. And, um, and so yeah, cause I mean stage four colon cancer, it’s a pretty grim diagnosis and we didn’t know what to expect to see the closest thing that like, I’ve just never experienced that before. Um, so naturally I’m a problem solver and a coach and so I wanted to make sure that I was there from, I’m inspiring them and I’m just finding any solution that I possibly can. And that’s when I started my business rock star mine because I couldn’t sit around. I want, you got to remember I went from, so my stage name wasn’t Steve. Like, I mean, people know me in the music industry has void. And so, um, that was very hard going from sort of the, the, the alter ego traveling the world, you know, hanging out with fans, signing autographs, playing big stages in front of tens, thousands of people every night and then going to, you know, just some Italian kid it at home every the same place all the time being Steve, you know, um, it, it was just, you know, it was a bit of an identity crisis in a sense. Yeah. So I had to be creative, I had to do something. And so, um, you know, years of coaching on and off tour started this business, a rockstar mine were really, I was just learning marketing concepts and um, and just getting, you know, helping as many people as possible. And um, and my dad was about to turn 60 and I just had this moment where I just saw everything happen. I had this guitar training and I was like, I’m going to teach people how to feel like a rock star. And at the same time I had this sort of Cathartic experience where I created this fundraising initiative called void cancer, which was, um, is a tribute to my father was this, is this, there’s this video, a documentary I made, um, that I, it was my father’s 60th birthday gift and um, and basically the idea is that proceeds from everything that I make with the guitar training proceeds will go to help new, I’m pretty new programs for patients and caregivers, uh, because that was the position that I was in and I felt like if I can help other people, then, um, you know, it’s just going to create a really, really, um, I just, I didn’t know exactly what it would treat, but I knew that it would be awesome. It would be helpful. It would educate people and um, both guitars and people who have been affected by cancer. Um, I just knew that it was, it was what I needed to do. It was just one of those things that just something clicked and I knew that that’s what I needed to do. Janet Beckers: And the thing that I love from that and this is, you know, there will be times when you know the people who are listening where there is something that happens in life that is going to be one of those boom. You know, you know sometimes may just be gradual awakening where you come to realize, and I love what you’ve done there, Steve, allow, you talked about the alter ego and then you’ve got like real Steve, you know, it’s like the clock yet type thing. Um, that you know, you can, you can treat that as a reason why all well it was never meant to be or I’m not going to succeed. It’s a reason to give up and change what you do. But I love what you’ve done. There is sometimes those things that are, they can be seen. What the other thing that’s going to stop you that huge is obstacle can really drive your wine business and draw the creativity in business. And that can be as simple as I was on the career path and I’ve had children that can be the wife for you. It’s, I’m on the career path. And you know what, I have responsibilities to somebody. I love to be there. And so that can really drive your reason why in your business. So, um, we’ll, we’ll flick over now and talk about the book, but before we do, if you can share it, cause I’ve, I’ve watched that documentary this morning and I was just like, I was applauding at the end just there with me and the dog because you know, it’s, it is really, it’s short but incredibly moving and s and it falls away. People can go to get some information. So can you just share that URL for people? Steve Mastroianni: Yeah. So it’s void. cancer.com v O I d cancer.com. And on the page, it’s just a very simple site. Basically. It’s just the documentary. It’s about five minutes. Um, I think it autoplays um, depending on your browser click that it pretty much learn everything about me. You’ll learn why I named void, why that, how that came about. It’s actually, um, it was pretty interesting and sort of this cosmic thing that, that happened. I was just like, interesting. Like I’m very grateful. I’m especially being a coach, that I can help other people based on some of the, the victories and the losses in my life. Um, and um, and basically the video, it’ll, it’ll, um, kind of tell you the whole story. Um, and then, uh, you know, under there there’s a button that you click and then there’ll be a few different ways that either you can contribute or you can, um, you can contact me. Um, the book, um, and the album that I recorded, so the book that I wrote recently that we’ll discuss and also the album that I recorded, um, I believe it was wow. Three, four years ago at this point. Now I’m all proceeds from, from those, 100% of the proceeds will be used for a new programs. So it’s, I’m very, very happy about that. Janet Beckers: Yeah, that’s fantastic. And um, and I level so that, um, and we’ll talk a little bit moment yeah. About, um, yeah, about that contact button. So we’ll talk about that at the end is as well. Yeah. So don’t have a look at that cause I just love that video and I loved all the stories behind the tattoos and how that, yeah, we’re not going to give it away. Everybody can go and have a look. Um, so now let’s look over, I love that we’ve got the whole story here about, you know, just your entrepreneurial mind and then your reasons why and I just love how you saw this as your way of giving back. It was your turn to give to you that I just love that. Um, you know what integrity that shows truly and priorities now if when you’ve got your business, so for you, you know, you’ve got this business where you’ve got programs that can help people, you know, I’m your total demographic by the way. Yeah. Steve Mastroianni: Playing Guitar. I heard about this guitar, a little Birdie told me that there’s a guitar that’s been sitting in, in your, in your room there for 25 years or something like that. That’s just unacceptable that it’s dusty or that it’s just there for show. That’s a sidebar off camera. We’re going to take care of that. Janet Beckers: Yeah, I’ll have to stop. Totally, totally. Your market, your book. So let’s look at first of all, why a book. So this is if we’re, we’ll approach this in your coaching, in your coaching sort of hat is, okay, so we’ve got six weeks to create a book so we can all look at what had to take place in order to make that happen. But it’s supposed to, we’ll take the step of, there are so many ways that you can get your message out there. There so many different strategies that you can be putting your time into it. You can only do so much. So why a book and why would other people be looking at using a book as part of their marketing mix? It’s a great question. Um, and, and I think to really capture the sort of six weeks, the, the understanding kind of why that all happened the way that it did. And, um, just quick, little aside is that my life is just about as chaotic as you can imagine. This is where I teach and this is where I run the business. I’m inside my house right now and my wife and my daughter who is now 13 months old, um, they were home for a full year, so 2018 they were home every single day. And I’m trying to run a business over here. I do, you know, songwriting and production as well. And I do have a studio downtown that’s sometimes I go to, but it’s just me and my wife here and we’re taking care of our daughter. And so I made a conscious decision that in 2018 that I’m going to be here during, you know, the most pivotal time in a child’s life and also bond with my daughter. Um, I have no idea what I’m doing as a father, even though, you know, I had some audio books and stuff that I listened to him, but it was absolute chaos here. Anything business related was going to be a bonus. Like anything that was created, any asset that was created is going to be a bonus. And Trust me, I’ve tried everything, webinars and every method of delivery. Okay. And, um, and so what happened on December 21st of 2018, you know, just as we’re getting into Christmas, lightening in a bottle happened like something just, I just got inspired to write a book. It was actually James Schramko had a podcast that I listened to and there’s another cosmic sort of situation where certain things aligned. I just thought, oh my God, I’m going to write a book. And in that moment I understood that books are still so powerful. It’s where I get a lot of my information, whether it’s an audio book or um, or written book. But the, basically the book, I just knew this was the method of delivery because I know my audience as well, that they, um, they’ve asked me in the past if I’d have a book, they have ’em because they’re an older demographic. I know that they want to get away from the screen because a lot of times it’s, that creates anxiety. So holding a book in their hands is something that they have and it’s very intimate that they could read at their own pace. They can mark up. It’s a very interactive medium. Whether it’s a ebook or paperback. And, um, and in that moment I just understood all of that. So I almost like blacked out. And next thing I knew 20 minutes later I have a little outline or it sort of just a sort of Cathartic and um, and so, and there was, this is a reason why I’m telling you all this is because number one, there’s no right time to start a book. Like when you’re, when you’re inspired, um, you have to take hold of that. I’ve realized in my life because I’ve gone through these two weeks spurts of learning something or, or being obsessed with something. And what I’ve noticed for myself is that after two weeks it dies down. Like, um, and this was the worst possible time Christmas was about to get started, holidays, madness, new years, all the madness, right? And so I could have easily said, oh, I’m inspired to write a book. You know what, let’s put it off till the new year. You know what? Yeah, the new year. And when, I mean, when everything calms down, I’m going to get to the book. Is that inspiration? Does not work that way. Being obsessed with something you have to dive in and, and it doesn’t mean that you have to like, you know, hibernate or anything like that, but dive in and make sure that every day and as much as you possibly can, that you hold onto that inspiration and that fire inside you because it will go away. You might not think it will, but it’s not going to feel the same. I’m so grateful that I wrote the book, um, last year, um, in that time, in that short time, because if I didn’t, I know right now there’s no way that like I can’t, I’m not going to write a book from scratch, my first book, the pressure of all this stuff. It’s just not going to happen. So you have to hold onto that inspiration, ride the wave of inspiration and be obsessed with it during that time, especially in the first two weeks. It’s crucial in the first two weeks. So what I did was I outlined to just whatever, just got whatever, like, you know, um, put books, experts are very, um, in some ways it’s much easier than if it was, let’s say it was fiction because there’s things that you talk about with clients that you just get it on paper, like get it on the screen or getting it on paper just as much as you can. Don’t judge just right. Just get it out. You’re just in sort of purging mode. And, um, and then, um, what I did was I, um, so I did a detailed outline. There are, sorry, I outlined it just the first one and then I bought a book on how to write a book. I also want to leverage experts. I don’t want to like love it. I want it to make sure that I got this book done before the New Year. Like, which is absolutely crazy. The December 21st I’m inspired and like December 22nd, um, all I have is like sort of a short little outline and I read, I’m reading this book, um, what was it? It was book in a box. I was not called describe method by Tucker Max and it just, I wanted to get as many ideas as possible to, to write. And um, and so December 22nd that happened in December 23rd, I write a detailed outline, some 24th and 25th is Christmas boxing day. I started writing the book and by this time I had a, a detailed outline and all that means is just basically, you know, first I kind of cure are some sections that the main sections that I want to talk about not thinking about this is for sure just staying in dreamer mode, stay injury remote, get it out there. You’re still holding onto that, that inspiration and you’re, I’m still just, you’re not judging, you could always edit later, but you have to get stuff out there. I’m onto paper or on the screen. And um, so yeah, Christmas happened December 26th. I had a crazy thought in my head that, okay, I’m going to start the book. Anything is going to be good because it’s going to be tangible. And I designed the cover as well. I designed to cover and I made again, it doesn’t have to be perfect. I just had to get on there because if I had a cover then now the book is real. I even made the most three d l line or three d mock ups. So I saw the book, it’s like a little mind hack and clearly my company’s called rockstar minds. Like I study a lot about like how the mind works in everything. You have to make it tangible, it has to be real. And you went, you did enough work where there’s an outline and you write a little bit as much as you can in the, the first, um, you know, crucial little area, um, period there. But the more real you can make it, then you’re hooked in, then you actually start feeding the fire of it so that two weeks it doesn’t dip anymore. Now what’s happening is you get a little boost because, oh yeah, I’ve got enough, I’ve got an outline or I’ve got a cover or you know, you’re giving a little, a little boot suits momentum going. Right? And then I literally, I actually, I know how I did it, but I also don’t know how it happened where I finished the book in five days. I wanted to make sure that by the 31st uh, New Year’s Eve, this book was finished because I did not want to go into 2019 having to write this book. My mother in law was moving in from Italy. Um, my wife was getting ready to go back to work. My daughter going to daycare January was an insane month, so I wanted to make sure that the book was done. So deadlines, obviously very important. It’s like all the things that I’ve ever learned about success, all kind of converged and five days I had, I had a book of an the 11 chapters, 256 pages done. Steve Mastroianni: Awesome. That’s great. That’s a great point. By the way, the voice doesn’t, is not actually, it doesn’t mean anything. The voices is the prompt. You could say yes, you could see no. All it is is just your business checking in. That’s it. And by the way, it could be five days, it’d be 50 days. Like for me, I was just what I did. Right. And I’m also competitive, so I wanted to kind of like I got into it after a while we get a telephone or something like that with the thermometer going up, whatever. Like I was getting competitive. Right. That was a bit insane. You don’t have to write it in five days. I just did that because things are nuts around here with the baby. Yeah. I just, I wanted to do it so I could inspire other people to do it in, in chaos. Janet Beckers: Why don’t we go and you know what? This for me, there are three lessons that I’d really like to point out from people on this. So number one of them is that, first of all we talked about strategy and that you had used all different things as a format for getting your voice out there, but you, and you had the Aha on the book that you already know your demographic will really appeal to a book. And for me a book works really well because it gets it into the audience of people who might not actively be searching online. It’s another way to reach them. So this was not a bright shiny object. So your first thing you’ve got to ask yourself is, I’ve got this inspiration. Do a double check to make sure is this a bright shiny object? I shouldn’t be immersing myself, you know, should I put it in my book of great ideas, um, or um, or I call it my book of squirrels cause it’s sort of like Whoa, this is real. So should it go into the book or squirrels or show it action is now. So that’s number one. The next thing then was I absolutely love batching. So like I create all of my content in batches because you get a certain energy and you can get on a flight. So I love what you’ve just demonstrated there is batching, totally intense. Now the other one that I really love how you said for you, you’re very competitive and so you kept on going, you wanted to do it in the short time. That was really important. Another good thing to know here is know your personality. So any kind of work that you had done on knowing your strengths, where you work well is have a look at that because there’s some people that would stop them. Still that whole to your idea of, but I’ve got a plan this if your, if you know that the way that you work, well, there’s, I am the person that I am going to focus and make the most of dispatching energy, but I am a person who if I don’t have my laid out plan in my calendar where this fits in, I’m going to be so stressed out by the whole thing. I can’t do it. No that, but take action to get yourself organized and make it happen and batch it and do it quick. Making at least a year to do a book. Steve Mastroianni: Your perfectionist voice will just keep coming in. You’ll just want to make that part better and you have to, you have to just keep moving forward. And one very important thing that worked for me is I made it easy for myself to create. Look, I didn’t, I didn’t hibernate for five days straight. It was Christmas visits. It was the holidays. And so what I actually did was I used a program called scrivener, which is a pretty popular, a writing program, but I had it on this computer out on my laptop. I had it on my phone and they’re all singing basically. And that, that works for me. Like if you write on a piece of paper, like whatever works for you, the most important thing in the first stage, because remember it’s just the first draft, right? As you’re getting it out there and making it easy for yourself. If you write with pen and paper, I have a pen and a piece of paper on every single floor of your hosts, like have, have it everywhere because ideas would come to me. Um, I’m frying up an egg. Oh, you know, oh my God, that’s great idea for a chapter. So I started writing, writing, writing, writing. And that’s sinked up in all of my areas here. Janet Beckers: Do you have any tips? I love that. That is really, really good because that’s, yeah, cause I know I’m just checking my tongue to make sure I could honestly, I could talk about it. Yeah, I know when I write my, my solid, it wasn’t collaborative. Um, I wa I liked batching, so like you’ve described it and we’ll say very organized, systemized. So I found for me, I had to have a spreadsheet but I also had a fold up cause I’m very, all in all, I like paper and I liked pins, but it was all very racist, systemized. But I had that, I carry both of those things absolutely every way. Cause I love how you said, you know, you’re going to get your ideas, get it down, otherwise it’s going to lock up your head. That is brilliant. Okay. So we’ve talked about, I love the idea of get your brilliance focused on it. Now in that batching for that too, we can keep that energy. That’s knowing yourself super well. So the next step then, so if you’ve got your proud and good page number, by the way, from somebody who made their books slightly too big and it costs a fortune to post it, um, yeah, that’s a good, that’s a good size number is what was the next thing? So you’ve got your book here, you’ve gone from draft, what was the next steps to be able to get it so that you could actually get it to bestselling? Steve Mastroianni: Yeah. Um, so in a nutshell, once the draft was done, um, it was basically I’m going to cheat, I’m going to find two people who, um, so my customers who know my stuff, who either they’ve had to hear me yapping away, they basically had to see this, all of these like crazy hands and hear me talking about the same stuff over and over for years. And, um, I asked both of them to, uh, to read the book, give me feedback. And um, so what I wanted to make sure because I knew that I would take the feedback with a grain of salt. I knew I wasn’t going to incorporate everything blindly. Um, I wanted to just make sure that it sounded like me because I don’t, I didn’t want the book to be stuffy. I want it to be funny. I told you I tell tour stories in there. Um, you know, I talk about Gene Simmons, there’s some funny stuff in there anyway, but I wanted to talk, I feel like a conversation with me. Um, and so I wanted to make sure that it felt like me. So it was my voice and also that the communicated the same system that I’ve been telling these guys or for you. So that was the main thing. I want to make sure I made some edits to. Um, to the book. I also went through, I used, um, pro writing aid instead of Grammarly pro writing aid. I just did a sweep of, you know, look, I understood it. This is not going to be a perfect book. I just want to make sure that I did due diligence. I went through, um, and, and I, I got these guys to check it in. And then after that, you know, um, or you know, I would just, I got a format or have hired, um, cause I don’t know how to do that for, for kindle. And we’re, um, for, uh, for paperback. I just, I don’t know how to do that. And if I learn, which I’m happy to learn, it just takes too much time. I really wanted to make sure this thing could happen in the short period of time. So I hired a format or on upwork and um, and then I also, I designed the cover. I just haven’t had an idea for the cover. We’ll show the book. Basically this is the, one of the proof copies. But I designed basically, this is three rule of three is so important in my life that there’s three sections in the book. There’s three sort of things, um, you know, three core sort of elements to the system and um, you know, it’s, it’s sort of the rule three. So I did this and um, all the while boosting that obsession because at any point you can sort of like, you can crash. I mean, you have to have a good support system in place and you have to have good wins, quick, quick little wins, right? So, um, I get as the guys are reading the book and I’m giving the feedback or they’re giving me the feedback, then I’m also constructing and recruiting a launch team from my subscriber list and my customer list and putting together a launch team of people who want to get behind the scenes, look at a launch, um, be part of something cool because also the fact that I’m using all proceeds for avoid cancer, be part of something that’s actually going to change people’s lives. Um, and uh, you know, I’m in exchange, you know, treat them like gold. I’m, I’m giving them the book for free, giving them goodies and just taking care of them and they’re going to, they’re going to share the book and um, and, and spread the word and connect me with whoever they can connect me with. All of that is happening at this at the same time. That’s what January was all about this period of time. Steve Mastroianni: black. I’ve never seen, I’ve never seen anything so crazy in my life. People, as soon as I announced that I was writing this book and like now I’m an author, everyone thinks that they want him to be part of it then and I’m getting all proceeds to to cancer. They want to be part of that. Everyone wants to be part of something special because I’m not seeing that, you know, I’m not saying life is boring or anything like that, but a lot of times we can get into a mundane routine and being part of something that’s that’s important and special. These are the things that people will say when they go visit their friends house. Oh, you know, what do you, what you been up to? I’m part of this awesome thing. This launched. People want, want, important things to talk about. They want that and they need that. And it gives them, it gives them, makes them, makes them feel like what they’re doing is, you know, it’s purposeful. Janet Beckers: Yeah. I love that. That is that he’s a, that’s the whole thing of building tribe, building community. And then you’ve got that groundswell that allows it that, you know what, the book hasn’t even been released yet. I’ve got it on preorder and you’ve got it to number one. So how so was that launch team essential to that happening? Steve Mastroianni: 100%. Yeah. Um, so, so everybody, they want to help out in any way they can. So, I mean, they’re preordering there or they’re getting all their friends, the preorder, they’re sharing it on their wall. There are some people are connected to some influencers and they preorder the message out to their list. It’s just, you know, when you do good work and you treat people well, they just want to help out. And so it doesn’t even have to be, I wanted to, I wanted to get the best seller because, um, it was just a bucket list goal of mine that I remembered since I was eight years old. I completely forgot. I was like, yeah, I wanted to be an author when I was a kid and I’ve read ignited this, um, this spark and um, and basically, so I have, um, if there’s a best seller was something that, yeah, I, there’s a little strategy that I just want to share with that, but basically getting a bunch of people together, this person knows this person and this person knows this person. Janet Beckers: Google, Amazon, kindle or Amazon. Steve Mastroianni: So this was, so Amazon kindle, um, that’s the only thing that you can preorder of, at least for new authors. You can preorder that book, the book, basically, it’s going to be coming out in all formats. Um, yeah, so that’s very excited about that. Um, with bestseller one, one thing that I made sure of is that you have to do good keyword research. You have to do good category research. And what that means is just look at the categories that are relevant to your niche and, um, and look at what you’re up against basically. And you can make, you can kind of make your plan based on what’s out there. It’s don’t be product focused as much. See what’s out there, get out there and see what’s going on in the outside world and, and start playing off of that. What are those titles? What are they saying, what’s on their page, you know, things like that. Um, and so making sure that, um, you, yeah, you, the keyword research and I’m, and category research was definitely huge. Janet Beckers: That is brilliant. And you know, that’s one thing I found with, um, it with when I’d done campaigns to get, you know, to, to number one and done that with clients as well, is it’s very much like Seo, like search engine optimization. You’re going to get a much better chance of getting seen if you take the time to do your keyword or keyword research and look to make sure you get those categories in the words that I’m not as competitive, but they’re also ones that people are looking for. Um, yeah, so I love it. Steve Mastroianni: Not as hard. It’s not as hard as it seems. Yeah. You just have to get out there. Like I’ll, I’ll be, you know, honest, there’s, there’s, there’s a little fear of like getting out in the, in the, the, the real world where you search something and like sometimes, I don’t know if anyone else has this, but I’m kind of a little bit scared to like type in my idea and see that other people have that idea. And then I’m like, aw, I’m shut down right now. But it’s so important to put yourself out there. I’m like, get your search, you know, in practice less, play more. Or are there any other books called practice less, play more and it’s important to see what’s related to that. The different books that are going to be coming up and put yourself in the sort of shoes of the person who’s searching for this thing and yeah. Anyway, I mean getting to bestseller on and the books not even out. It was just, I mean a dream dream come true. I was completely bedridden by the way, just as a, as this little tidbit we were, by the time we got to UK I was going to Keel over, I’ve got whatever, my daughter, she went to daycare and I got whatever bug she brought home on Facebook. We’ve got like the airbrushed Sorta lifework everything’s amazing and all that. But little does anyone know that I was actually like in fetal position on my phone and stuff. I’m just, I’m hoping that launch day goes much better health wise then a then preorder dated. Janet Beckers: Yeah. And just to answering that, you know, the, the questions that people have got when you said, you know, you’ll do a search on your feet, somebody else has done this, you know, I won’t be able to, you know, I always have this love, this reframe that I use and it’s so perfect talking to a musician about this is, you know what, if you have a look at all of the number one here, you know, they usually a love song and the top tens are usually a love song and that has been for decades and decades and decades. There is always room for another love song and that can be your book. So, um, yeah, it’s just keep that as your, as your reframe, if you’ve got yourself in your mind. And the other other thing I just, sorry, I might do a little bit of a wrap up now. Steve Mastroianni: they want to tell the story. We forget. We forget that w w what are the cool things like for them to tell at a dinner party and I’m, and to share on their wall. I mean it’s, it’s super cool to be part of a project like that, especially that we all get to celebrate together. That we hit bestseller. We did it, you know, if we could all have the champagne, you know, going, it’s, it’s, it’s such a special thing. I couldn’t have done it without, without people. And one very, very important thing of why you need a launch team is because those people on the launch team, they will give you your first reviews, four or five star reviews on Amazon and between bestseller and Amazon having the reviews, basically it’s going to start kicking the sort of, the mechanism for Amazon to now put that up there. And it’s just, it’s need to have reviews because when other people come in there, you have the keywords and um, you know, the categories that you’ve, you’ve ranked for it. You have to have those reviews because that’s what gets people to pay attention. I buy on Amazon every single day. And of course I looked at the reviews. Janet Beckers: Yes. Yeah, before you decided to, I love it. I think we could keep on going forever, but we’d better wrap up. This has been a little bit longer, but we’ve just honestly, you have given so many gems. I’m so grateful to you Steve, and I know everybody that’s listening. You know, if we look at the big themes that Steve shared with us today, you know, we had shared about, you know, just that whole idea of reverse engineering from your lifestyle to what am I going to do? And then also how do I begin excellence? So what can I be doing that’s going to help me to become excellent at what I’m doing? Then we’ve gone to, you know what? Sometimes, you know, sometimes alive, just, you know, the classic thing of give you lemons. So you know, you don’t have to make lemonade. You can just make, make a Margarita type stuff, you know, because you know, you know, Steve’s given me a great example of that’s what’s in that started him with this new bill with the business that he’s doing so that you know, the problems can become the wise. And then the whole process of making the book when we’ve talked about that, you know, that more emotional side of the here’s my energy, he’s my inspiration. I’ve just got to grab it. You know, using what you do well, bringing in a whole community to support you to do that. And then also tying that in with the things that really matter for you, which is a round the music which is around, you know, helping other people who are, are they suffering from cancer and the care is like you’ve been in the, I like that whole thing. Just like what people have got so many facets to their personality. Like when you were saying Steve, while we could go everywhere, people have got so many facets to their personality. The same with your business. You know, you build a tribe and that’s not just something linear. It’s got this whole beautiful facet and all these different parts that are in it. And you know, it’s great to involve, involve people in that whole process. So I’m so grateful that you’ve been able to take us and show us how all of that looks when you actually allow yourself to just bring all of that into get us. So my challenge to everybody here is, you know, look at those things that we’ve done the day and look at your own business, your own wise, your own passions, what works for you, what and, and what lessons can you take from this. So moving forward, one of the best fade things that you can do for Steve and for [inaudible] is to give some feedback. So that could be where ever you’re listening to this, you know, you know, we’d be very grateful for any reviews of course, but also just context eve, you know, go over to Boyd cancer.com and he’s got that contact, they’re contacting them, telling him, you know, what you loved about today. Um, and what things that you’ve taken action on what our house, cause that’s one of the most rewarding things you can do. Um, and Steve, we were talking beforehand about um, why is it that you can help people from here on in? So would you mind sharing with that? So if people want to contact you more and be part of these as well. Steve Mastroianni: For sure. Yes. Um, so when you go to avoid cancer.com I’m underneath the video. There’s a button that you can click and I’m, there’ll be three options that pop up. There’s a by the book there is buy the album and then there’s also contact me directly. And what writing the book has a has done is actually inspired me to help experts to create a book of their own. And I just had such a blast doing it. You could see how I just light up. Steve Mastroianni: Want to help to, to light up and help other people achieve their bucket list goal. Because really, you know what this does, this is your legacy. I mean my life is in this book and um, and this is going to outlive me and this is something that I realized during the process and I just, those lessons, those tidbits how I feel, I want to just help other people do that. So, um, so I am, I’m currently offering a free strategy session that if you are thinking about writing a book or if you’re in the middle of writing a book, you got stuck in a Rut and you just need to be reinspired um, you know, just contact me and we’ll have a chat about it and not see what, you know, we’re where to go from there. Janet Beckers: Yeah, that’s incredibly generous of you. So thank you so much Steve. I really, really enjoyed today and yeah, we’re going to talk a tar when we get over here. So maybe we’ll have another one with Steven. We might do like a duet jam session, zoom jam session. I love it. That would be super cool. Well, thank you so much for your time, Steve and everybody. I’m really looking forward to hearing the lessons that you came from today and share this around to anybody that you know that would really benefit from it. Hey, bye everybody. Procrastination is not a character flaw. It’s simply lack of clarity. Know. it’s not just you and it doesn’t have to stay like that all the time. Instead, stop seeking procrastination as a character flaw and start seeing it as a symptom. 2️⃣ Follow a framework to get clarity, make a decision and clear up the energy so you can stop procrastinating and get s#*t done. In this week’s short and sweet podcast and “cheat sheet” post below, I share with you a few of the areas you are most likely lacking clarity on that you may not realise are the root of your procrastination. Plus tips and resource links to help you get clarity and get momentum. ✳️ How do I really help people anyway? so what is the transformational journey I take people on to get from A to B? ✳️ What gives me joy in my business…am I doing enough of that? ✳️ Have a created a business that has me doing a lot of things I don’t like? If yes…what can you outsource or what can I stop doing…….otherwise why have a business anyway, if you don’t choose to do things that light you up. You may as well get a job! ✳️ Have I got the right business model? ✳️ Have I over-complicated my business? ✳️ Am I really clear on what my clients really want help with or am I just assuming? ✳️ Am I clear on what I stand for? What will get the splinters out of your bum from sitting on the fence in your industry? ✳️ Am I clear on my confidence to step up and get seen or do I need a framework to stop sabotaging? That’s just a few ideas. If you aren’t clear on any of the above, well that’s what I do. I have frameworks to give you clarity then the tools and templates to get you taking action in the right way so you can stop procrastinating and get stuff done. The stuff that makes a difference. If you’d like my help either comment below or contact me and tell me what it is you are stuck on. I’ll see if I can help you get unstuck. Check out the different ways you can work with me. Hello and welcome! 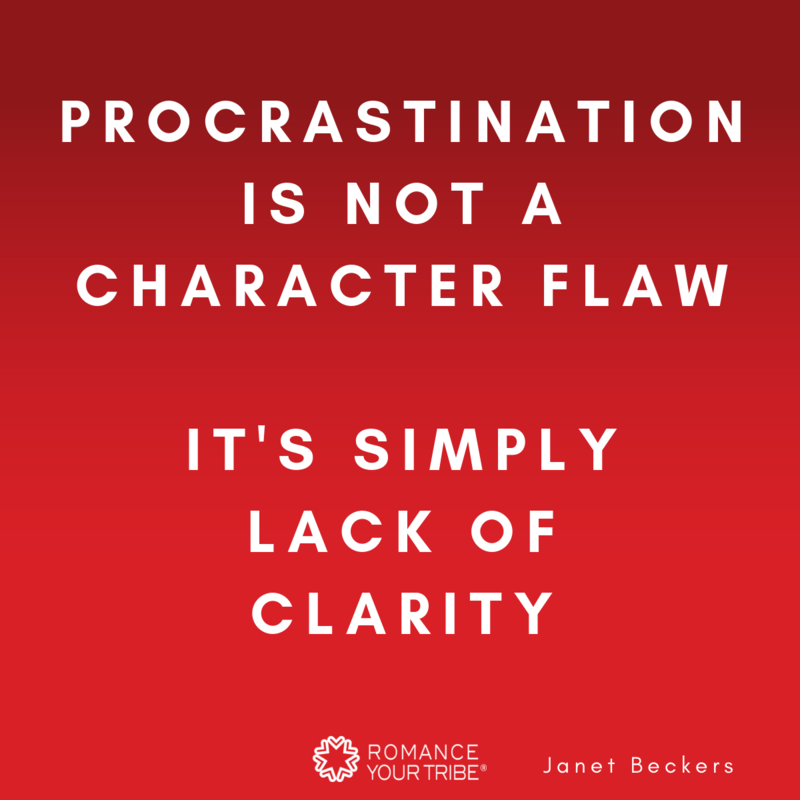 Janet Beckers here with a short and sweet episode for you this week of Romance Your Tribe Radio and today we’re going to be looking about why you’re not getting stuff done. Now, if you find yourself going in are what I’d be wanting to get this podcast on or this program launched or I’ve been wanting to make those sales calls, do that webinar, make my, get my website, get it out there, but I keep on stuffing around. I’m not doing it. I’m not getting committed. I’m, you know, I’m just really just doing everything else. But I’m doing a lot of busy stuff, but I’m not getting the results. I’m really common thing is to describe yourself as a procrastinator to say, I’ll keep on procrastinating, I’m not getting things done. And it’s very, very easy to see that as almost who you are, that this is like a character flaw that you have, that I am a procrastinator, you know? So if you find yourself saying that, and I’m being totally transparent with you here, I used to say it’s a lot to myself and I do say to myself quite often, Janet, you’re procrastinating, stop stuffing around. But the next question you have to ask yourself is, why, why am I procrastinating? Are you really so incredibly flawed as a person that you default to procrastinating on everything? So first of all, I’d like you to have a look at other things in your life, things that you are super clear on their importance or, um, or you know, why you’re doing that. And do you procrastinate around those things? And I bet you will find that there are a lot of things that you don’t even procrastinate on. And if you’re struggling to find this, it’s because you do those things all the time. So much so that there’s very little thought put into them. So you don’t even think about them as procrastinating, you know, for example, me spending time with my family, um, you know, carving out time to, you know, hang out with one of my kids is, you know, for me it’s a no brainer. I don’t procrastinate over that. Um, but that’s because I know how important it is. I’m clear on it. So what I’m going to look at here is what I see is the number one reason why you may be procrastinating and that is you just don’t have clarity. For me, I know with myself, if I’ve been stuffing around and I’m procrastinating now instead of seeing this, that this is something that I need to work on from personal development point of view, as in a discipline point of view, that there’s actually something deeper there. That this is nothing really to do with me as a person being flawed. It’s to do with this particular situation that I do not have clarity. And so this is about what I want you to ask yourself. What am I stuffing around on? What am I procrastinating on? What am I avoiding? Now let’s look at what am I clear on? So I’m going to run over just a few for you. And the thing is, if you’re procrastinating, number one, you’ve got to get clear first of all on what it is that you are unclear about. So because you can’t get that clarity on why or what, what it is it your needing to do unless you actually identify which part of this whole thing are you clear on. So I’ll run over a few of those. Now once you’ve got that, then it’s so much easier because then you can go, right, I need a frame work now to be able to take action. And if it’s something that I know that this is the area that I need to get clarity on, I need to make a decision on, right? What sort of things do I need to do to be able to make that decision? So to help you understand, I’ll run through some really, really common scenarios that I experienced myself and importantly that my clients deal with. It’s really, really normal. So I’ll just refer to my notes so I don’t miss on here. So number one is you’ve got to identify what the clarity problem is, where you need clarity and then use a framework for it. Now here’s a few ones. So here is a really common one that I find if you’re procrastinating around getting your offer out there or um, you know, telling people about your business, very often it will be yours actually really unclear on what kind of transformational journey you actually create. Like how do you get people from point a to point B, like not just, yeah, I can help them like absolutely step by step, how do I do that? What are the steps in the transformational journey? If you are unclear on exactly how it is that you get results, then it’s very difficult for you to actually with confidence go out there and get it. Cause you’re always in the back of your mind going fraud, I really don’t know what I’m talking about. I’m not sure if I can get the results. So if that’s one thing that you’re, that you’re not clear and then you go, right, I need a process that’s going to help me get super clear on what the steps are that I take people on. No, that’s what I help you with. So that may be the framework that you need. Another really common one might be, you know what, I’m really unclear on who is the best person for me to serve. So that’s why I’m not putting it out there because I can help everybody or should I go this way or should I go that way? What’s the way I should go? So if that is what is stopping you, if you’re pretty sure how you get results for people but you’re not sure where to focus, then go right? That is the one area that I need to get clarity on because that is blocking me. And again, that’s another thing that I can help you with. Um, another one may very well be is why I don’t even know why I’m doing it. I’m really unclear on this that I’m not getting motivated. So maybe you are needing a process. It’s going to help you to get clear on why you’re doing what you’re doing, what really lights you up, what are you on a mission, those sorts of things. So once you know that, then you can, um, you know, you can go and have a look at that. And I’ll actually, I’ll put a link down below. He, there’s a really great, uh, Ted video on about your why. So that’s a great one. And I’ve also got some other podcast episodes I’ll link you through to around your why. Um, so other ones, let me have a look here that I’ve got here. You might be thinking, you know, have I over complicated things in my business? So am I just feeling overwhelmed because I’ve got so many things happening. You know, that that’s what’s stopping me because it’s just all too much. So you may need clarity on actually what is getting me the results and what is not getting me the results. So you just may need to have, okay, that’s what I’ve got to look at first. And so then I can go, you know what, these things here are not getting me the results. That’s what I will give up. So I can focus on doing the things that are working but doing super well. Um, again, that’s other things that I felt pure with, but that’s that first step that you do is right. What is working, what isn’t working? Be Really, really clear on that. Um, so that’s something that you could probably start to do yourself. Another one might be, am I sabotaging all the time? Because I, I’ve got self doubts. I’m not confident to put myself out there. So if you look at everything else, don’t always assume that it is this. A lot of times people will default to going, you know, I’m just not confident, but really on my farm and I dive deeper, we all have that. We all have that. You know, even people who are outrageously successful still have that self doubt. Very often. It may actually be that it’s because you weren’t clear on what are the steps in your process or you’re unclear on exactly who your market is or you’re unclear about what gets splinters out of your bum baby. Like what’s going to get you off the fence and take a stand in your market so you’re not going to get splinters in your farm. So you know, cause if you sit on the fence all the time, that’s what happens. So maybe that’s one of those things that you’re just not clear on. What’s your unique voice, what do you stand for? So these are the, these are a few of the things that actually may be stopping you from procrastinating. So before you make assumptions that it is a character floor or it’s something that you need to dive deep into what it is that stopping you from moving forward. Look at the logic part of it first. Okay. And look at what are the areas that I need to get clarity on that I need to make decisions on and focus on those. And then you can step up into that fear because we will always have it. That’s what I call scare cited. That when you’re scared, because you know this is pushing you out of your comfort zone, but you’re excited because you know you’ve got, you’ve got something to share and um, and you, you’re going to get you express yourself there through that business. So I’d love to hear from you like, do any of those resonate with you? Um, if you, um, you know, or do you have other ones, other tips around procrastination specifically around this part here? I’d love to hear from you if you can leave a comment, wherever it is that you are viewing this. I love to hear, if you’ve enjoyed today’s podcast, I’d really appreciate if you would, uh, go over to iTunes. I don’t normally ask you that. I’m going to start asking, go over to iTunes and leave a review and a rating. I would really appreciate that. So more people can find this podcast. Um, and importantly, I’d like to hear from you now what works for you, what do you procrastinate on? And I may be able to help you pinpoint the thing that you need to get clear on. And if you’d like to work with me, just send us an email and I can tell me a bit about your business and I can let you know what’s the best way that I can help. Okay, go get them folks. In the new Netflix show Tidying Up With Marie Kondo, the Japanese decluttering diva shows Americans how to do with less, challenging America’s hoarding and consumer cultures. I love her approach of “throw out anything that doesn’t spark joy” (true confessions, I haven’t watched any of her shows…. life is just too short!). So why not use this approach in your business? That’s the topic of this week’s podcast and cheat-sheet article for you below. This is a topic that is top of mind for me because this week I have done the ultimate declutter. I have closed my award-winning website after 10 years! Decluttering my business in such a drastic, but essential way, has allowed me to release the energy I need to make a greater impact. So, making the most of the unique decluttering energy I’m feeling at the moment, I share with you today the 9 ways you can declutter your business and let go of things (and people) that have an energy that really isn’t serving you anymore. Once that cluttered energy is gone, you’ll free up space and emotional energy to attract other things into the vacuum you’ve created. This freedom allows you to feel and see things more clearly. It is essential to the growth of your business. Read / listen/ watch on for the 9 steps in the order I recommend. If you any of these areas I share make you go “Aha! That’s what I’m going to do next”, come and share it. I’d love to hear it from you. Share it on the podcast on the blog page or get in touch with me through Facebook, Twitter, or Instagram, wherever you hang out. Clear the energy to attract great clients, great staff and great opportunities. Plus clear your mind and business life my simplifying in these 9 areas. The list below has a very specific order. It’s not necessarily to do with the importance, but the right steps to approach your business declutter. This may not seem like the most important area to focus on first, but it is actually the best one to start with. If you have an office, throwing out things that clutter your peripheral vision or things that distract you without you really noticing it, will be freeing. Keep only what is important. This clutter not only clutters you visually, it clutters you energetically. Take the time to create a calm and focused energy in your immediate work space. A place you can feel a beautiful energy that is pleasure to work in. For me, I always have flowers on my desk where I can see them without having to turn my head. I also have an aromatherapy candle just outside my peripheral view. And I keep these little things, presents, that remind me of why I do what I do. Set yourself a deadline to work on this and just focus. TIP: If you don’t have an office, but the area where you usually work isn’t giving you a good energy, then claim an area in your home for yourself, even if it is small. Create a sense of “ritual” by creating a clear space and whatever you choose to include to create a feeling of happiness where you work. This might sound weird or a bit tough, but you need to do this. Look at the people you’re working with. Who among them use a lot of your energy and time? Who causes you stress? Are there clients who are making you focus on things that you don’t do well? They could be a client from hell or you’re simply just not a good match. Maybe you’re not the best person to help them or maybe the help they need is something that is not a part of your business any more. Does that client need to go? Do you have to refer this client to someone else? Should you review the boundaries you set with that client? I’ve only had to do this twice. Once was with a client who I was able to get great results for, she paid on time but she was incredibly needy. She sucked my energy dry. She also counted as a high percentage of my business. So I built up the other parts of the business so I could eventually let her go in a kind way. There was one other time where it was actually a client from hell. She was awful. She had everybody in tears. I just had to let her go. I gave her all the money back even if we’ve done the work because I didn’t want that energy. That’s only happened twice in 10 years. Letting go of them just freed me and opened up opportunities and space for new, wonderful clients. But what if you actually have fantastic clients? I’m actually at that stage where I have the world’s best clients. I’m just attracting people who I know I can really help. They get me and I get them. I’m absolutely adoring them. So if you have great clients, let them know! Also say to them “I want to work with people who are like you. I’d love you to refer people to me who are just as wonderful as you”. You can also offer your favourites an alumni package to help these great clients stay with you for longer. I just did that with my Rising Stars clients. To do this, you’re going to have to do a couple of things. Look at all your products and services. This is helpful if you’re doing a lot of little things. This also applies if you’re doing very different things for each client. If you’re doing a lot of different things for a lot of different people, I want you to list everything down you are doing. You do this because you need to get really clear on what you are really offering. Then you can make decisions on what you will no longer offer. Simplify and channel your energy to doing less, better and with more focus. You’ll also attract clients easier with this new clarity. Look at your profit and loss. How much money do you make from each of the products and services you offer? If you are creating tailored solutions for people – coaching or service provision – then I want you to look at which of those are making you the most money. Most importantly, look at the time you are spending on each. You might be getting a lot of money from it but it also may be taking up an excess amount of your time, emotion, or energy. On the other hand, you might have products that are low cost but they’re efficient because they don’t take much work on your part. Look at what you can simplify. It’s not necessary that more is better. Less can be better for you because you can be clear about what you offer. More importantly, you’re not going to be using as much emotional and mind bandwidth. Can you declutter your programs and your products? That’s something I just done recently by consolidating everything into one core program with 2 VIP levels. All of the things you offer should lead to the ultimate result. Do you have a lot of different ways for people to join your mailing list? Are some of those really not going to be the best ones to lead people into your nice, simplified, decluttered products? If so, maybe you should just get rid of them. They’re just confusing and unnecessary. Keep it simple. As much as it can be overwhelming you, it could be confusing your clients as well. Are these going to attract the perfect clients you want? Are these really going to lead them to the products and programs that take the least amount of time, and give you the least amount of stress and the most amount of profit? If you don’t have an email list yet and you need help, I can help you create an integrated solution from opt in to programs to profit through the Attract Your Tribe program. What are you doing that’s getting you in front of people? You need to be seen and heard for your ideal clients to find you and know what you stand for. What is it that you’re doing to let people know that you know your stuff, to connect with people and stay top of mind? Take a look at what’s working and focus on them. Some of the things you do might be things you do just because you’ve always done them or you feel that you have to. Many of those things are often things that don’t give you results. Simplify. Doing different types of content can attract different types of prospects, but have a really good look if any of them aren’t really getting results. This is a great place to declutter. Again, do more with less. Now this depends on the stage of your business. If you’re just getting ready to launch, you need to be building your mailing list. You need to be getting people’s attention. You need to be visible. That’s your runway. Recognise first if you’re in that runway phase. You’re still building so you can get your sales. Don’t go and throw things out without knowing what you are measuring. How many opt-ins are you getting? What kind of engagement are you getting? What suite of core blog posts are you creating that’s going to end up attracting the perfect clients? Have a look at that and the way that you’re creating content. That also includes you. It could be you, your virtual assistant, your staff, the people you call in every now and then. Or nobody else. Is there anybody here that if they would leave, I would be absolutely horrified? Is there anyone here that if they left, I wouldn’t be too upset? If they’re not doing a fantastic job, then maybe you should declutter. Don’t surround yourself with mediocre. There might be someone you’re keeping because you don’t want to go through the effort of looking for somebody else or you don’t want to hurt their feelings. Let that energy go. You’re going to attract somebody awesome in instead. Finally, if you have a virtual assistant, are you using them to their full capacity? Would you be better off just hiring part-time? Take a look at what you’re doing and delegate better. Look at yourself. Are you spending time doing things that matter or are you doing “busy work”? Be really honest. 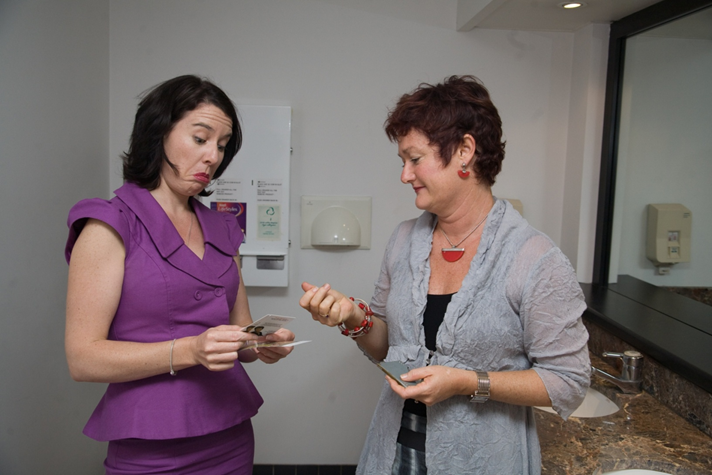 Can you declutter yourself as the person who is running the business and attracting the clients? Can you declutter your own time and use the support team that you may already have, or intend to build? Now, what is using up your bandwidth? What email lists, Facebook groups are you on? Things that use up your time and attention. Work out your criteria for what you really need to grow your business and only spend time reading and interacting with the content and groups that will help you. Ask yourself, which are the ones you really look at all the time? If you were on a newsletter list or Facebook group just because you were curious or someone else had added you, just unsubscribe or leave. That’s all clutter using up your brain and distracting you. Exercise minimalism so that the energy that you use is going to be calm. How many of the software you pay for are you not actually using? Go and get rid of it. It’s going to save you money and the space at the back of your head where every now and then something comes up and you go “why do I have that; I don’t remember” just declutter. Streamline. Less clutter. Less things to learn. Less things to pay for. Once you’ve decluttered all this, take a look at your website and social media. The best way for people to join your mailing list. Does it reflect your new decluttered life and business? Now be careful when you approach decluttering your online presence. When I talk about decluttering you and your time, one of the things to be wary of is “busy work”. These are things that seem really important, keeping you busy, but is not actually growing your business and making an impact. One of these unproductive, busy things is constantly tweaking your website. So when you’re decluttering your website, make sure you’re sure about what needs to go. Set your timeframe to do that. And if you haven’t been using your virtual assistant efficiently, this is the best thing to ask them to help you with. Just don’t fall into that trap of “I’ve been really busy tweaking things on my website”. This is the last thing you would want to do because you want it to represent this minimalist, decluttered energy that you are clearing around yourself and your business so that the good things can flow in. Do you have other areas you recommend decluttering? Or maybe you have some other great tips? Hello beautiful people! Janet Beckers here and welcome to the next episode of Romance Your Tribe Radio. This week we’re going to be talking about decluttering your business and I have got here nine different parts of your business that you can be decluttering now. Now, why on Earth am I talking about this topic? Well, you see, I’m really feeling a unique decluttering energy as I record this because last week I announced on my podcast that I was completely wiping from the face of the earth, my award winning website I membership site that had won me numerous awards and that had been running for 10 years. Now, if you haven’t listened to that episode, I really do recommend you go over or it or go over to the blog and look at the read the article that I’ve written there because you can see why it was a really important decision for me to make, to be able to release the energy that would allow me to be able to expand my reach and make a greater impact. And I shared on that podcast that I kind of felt this really, really weird sense of decluttering, but this business that this website was going to be completely gone. That sort of thing that you get, you know when you’ve got this really cute pair of jeans that you’re really, really light and it’s got all these fantastic memories and you know, you looked hot in them and you remember all the great times that you had when you were wearing them and you don’t want to let them go because maybe I can make it fit. Maybe it’ll come back in fashion. I really don’t want to let them go. But you know that when you declutter that wardrobe, when you throw that out and the other things that it’s going to be really freeing that sort of minimalist feel that it’s going to open up the energy for let other things come in. Well that’s how I’ve been feeling when I have kissed wonderful web women goodbye with love that completely wiped from the earth. So I’ve been feeling that decluttering energy and you know what? It’s really, really frame it’s in it. Cause once you’ve made that decision to, yeah, okay, tiny ergo baby is once it’s, that energy has gone that’s been associated with something that wasn’t serving you anymore, then it’s almost like you’ve left this weight off you, that there is all this energy that was being used in that place that now is free. So you’re now free to be able to accept other things into that space. So that’s how I felt. Uh, with wonderful web women going as much as a tough decision. It was. And there’s the grieving that goes with it. It’s opened up all this beautiful energy and that comes with like a decluttering of your home. You get that same sort of thing. And for my beautiful friends out there that are really totally clued up on law of attraction, on vibration and all of those sorts of things that you will know, you will understand exactly why that decluttering, throwing things out and simplifying actually clears the, to let other things in. So let’s take that beautiful energy and yet loot use it like right now and have a look at nine different areas in your business that you can choose to simplify, to declutter and to really clear out the baggage and have that beautiful kind of clear, non cluttered, non hoarding feel that allows you to be able to feel things more clearly, see things clearly and bringing that beautiful energy. So let’s go and have a look at those now and I would love to hear from you. So if you, you are, um, you know, as I’m going through this, if any of these areas and make you go, Aha, that’s where I’m going to do next. I’d love to hear from you. Come and share it. You know, wherever you are listening to this, you might want to share this on the podcast blog page, which is a great place to go or even come and find and join the conversation on Instagram or over on Facebook or Twitter, wherever it is that you’re hanging out. Um, I’d love to share. And so, and he went, the other people have got to say as well. And if you have got some, any tips on how to declutter the specific areas and I’m going to talk about, I’d love to hear from you and I know other people will as well and you might have an extra area that you’re thinking she missed. This one. Love to hear from you as well. So I’m going to share these with you in the order that I suggest that you look at them and make some decisions and actually take action. And I’ll explain to you why I have given them in that order. So it’s not necessarily to do with their importance, but a lot of it’s got to do with the right steps to put them in so that you clearing the energy in the right way. Okay. So step number one is clear out your office. Now this may not be when we’ve gone through the other eight may not seem like the most important, but the thing is by you going through your office, and this does not have to be hours and hours and hours. And if you don’t have an office, wherever your workspace is by actually throwing out all those things that use your peripheral vision, that clatter your, your mind without even being aware of it, just declutter. Only have things that are of really importance to you either said do your work or that help you to get that beautiful energy. Um, if you’ve got a falling box, like I have where I go, most things I don’t file because we don’t use paper that much, but there’s certain things that have come through that I’ve gone, you know, I’ve either got a scan that or I’ve got a file that, so, but you know, I’ll just go in the box for the meantime, you know? Sure. There’s a couple of years worth it. So you might want to decline of that. So any of your, any of your sort of systems that you’ve got, if you’ve got your top drawer that’s full of stuff, de Clutter, it makes a huge difference. So have a really clear workspace or your peripheral vision is not getting that imagery that is there. Now the other thing then would that declutter is then also take the time to create a space that is great for, um, for focus. And also that makes you feel like, you know, this is a great, this is a, a place where I feel, um, a beautiful energy. So take the time to do that as well. For example, with me, I always have flowers on my desk where I can see them without having to turn my head. Um, so always have flowers. I also have a, an essential oil burner with a little candle that’s just out of my view so that I can get those beautiful smells that are coming through. I also have underneath my computer, little things that are symbols that may be from different holidays or gifts that have been, but they’re things that for me, um, are a symbol of why I do what I do. So I can have that great a holiday so I can impact this person who sent me this present. Um, so just create, taking the tiniest to create that space. So that’s number one. Declutter. Now don’t, um, you know, if you’re, you know, you can very easily just go to the nth degree here, but make sure that with all of these things, you set yourself a deadline and just focus, focus, focus. If you don’t have an office, my next challenge to you is, is the place where you are doing most of your work? Does it have a good energy or is it something that you’re constantly aware of all these other distractions around you? If so, you need to claim a space somewhere, whether it’s in your home, whether it’s out of the home somewhere where you can get that, that decluttered feel. So that’s my challenge to you. Um, okay, that’s step number one. Now the next thing now, number two I’ve got here is, and this is going to sound really weird and probably a little bit tough, but you may need declutter your clients. Now, what I want you to do by this here is I want you to look at the people who you are working with, the clients that you’ve got. Are there any of those clients who use up a lot of your emotional energy who may use a lot of your time, who cause you stress, that are making you focus on things that you don’t feel that you do? Well now it might be because they’re the client from hell or it might also be that you’re not a good match. Maybe you’re not the best person to be helping them. Or maybe what the help that they need is not something that you’re actually providing through your business anymore. So have a look at that and make those decisions. Does that client need to go or do you need to refer them to somebody else or do you need to look at the boundaries that you have with that client? I’ve only had the hat to do this twice, once where I had somebody who just use up a lot of my emotional energy because she was incredibly, um, very, very needy. But I could help her and she also accounted for a high percentage of my business. Um, and so once what I did is I built up the other parts of the business so that I could eventually let her go in a kind way of saying, look, you know what? I think I’ve got you to the point where I can help you. You’re now, you don’t need me. And you know, for the summer, that stuff that you have been wanting my hope with, this is a great place for you to go to because really I’ve got you to where, you know, we need, we need to be, it’s just that you’re really wanting to hold on. So that was able to go and then there was one other time where it was actually the client from hell. She was awful. She had everybody in tears and um, you know, I just let it go. I gave her all of her money back even though we’d done the work cause I didn’t even not want that energy. Um, yeah. So that’s only ever happened twice in like 10 years. So, um, but for me they were, they just freed me and open up opportunities now also have, do you need to be doing that or have you actually got fantastic clients? Like I’m at that stage at the moment, I’ve got the world’s best clients. I absolutely adore them and I’m just attracting people who are, no, I can really, really help. And who know, they, they get me and I get them. I’m absolutely adoring them. So one of those things is, you know, what, if I have cleared out space with clients, I want more of them. Or you know what, I’m loving this. I’m going to come, I’m going to talk to each of those and say, I want to clone you. Refer other people just like you that may be part of your decluttering. So it’s um, simplifying saying, you know what, I want more people like you. So to all my clients that I have at the moment, I just want more. You okay? It’s want a clone. You all, all I’m really, really loving the people that I’m working with. Um, okay. So that could be your clients. Um, and also you may go, okay, I want more of these particular clients. You might offer them some kind of alumni package to stay with you for longer is another thing I’ve just done that with, um, with my rising stars clients. Uh, number three, I want you to look at decluttering your products. Now to do this, you’re going to have to do a couple of things. First of all, have a look at exactly all of the different products and services that you’re offering. Now this can be really important if you have lots of little things or also if you’re doing very much, um, every client that you’re providing a different kind of solution, a different service. Now I worry first of all to get really clear on what you’re doing and if you are providing lots of different solutions to different people, I want you to list all of those. Okay, cause they are all different products or services you’re doing. You might be saying it’s this is the hourly rate, but what are you doing? Okay, that’s a lot of energy space that you could be doing there. Now I also now want you to have a look at your profit and loss. I want you to have a look at how much money do you make from each of these. If you are creating tailored solutions for people, whether that’s coaching or whether it’s service provision, if it’s each one is different. I need you to look at which of these different types of services that I’m providing, the groupings, which are the ones that are making me the most money. And importantly, I will now want you to have a look at how much time we’re spending on each because sure, you may be making a lot of money from it, but you might be spending an amazing amount of time on it and an amazing amount of emotional energy. You may have other ones that at first glance you go, they’re not as expensive, but hey, I’m done. And nothing for it. Um, or the people who I’m working with on that one, it’s so easy to solve because I’ve got, you know, I’ve got so many, um, efficient ways for me to be able to get those results. So have a look at that and are the ones that are using so much of your energy that either you’ve got to change them or they’ve got to go and can you simplify, simplify, simplify, simplify. Because they’re not, it’s not necessarily that more is better. Less can be better for you because you can be clear around what you offer. And importantly, you’re not going to be using as much emotional bandwidth and your mind bandwidth in all those things that you’re doing. So can you declutter your programs and your products. So that’s something that I have just done recently by really consolidating everything in to one core program and just two little tiny side ones. Um, and yeah, three little side ones. Yep. So that’s all they are. And they all, all of those ones really lead to the ultimate. So simplifying what that is. So is that something that you can be doing? Now the next thing that we want to do in this order is now we want to have a look at your optins. So if you are building your mailing list, if you’re not doing any of this stuff yet, don’t worry. That’s what I hope you to do. So just come and have a talk. Come and have a look at what I, what I can do to help you there. So have a look. Have you got lots of different ways for people to join your mailing list as some of those really not going to be the best ones to lead people in to your nice, simplified decluttered products. If so, maybe you should just get rid of them because they just confusion, you know, they just unnecessary keep it simple because as well as it may be overwhelming you, it can be confusing your clients as well. So really have a look at the things that you’re using to get people onto your mailing list. Are they going to be attracting those perfect clients that you want and are they going to be really leading them towards the programs and the products that you’ve got? The you get the most, um, you know, the lest amount of time, the less amount of stress and the most amount of profit from. So see if you can simplify those as well. Now the next thing that you can do, what have I got here for number five? Okay. Because as you can see, I’m kind of working backwards here and I’m going from clients to products to optins. So the next thing is your content. What are you doing that’s actually getting you in front of people? It could be, are you doing a podcast? Are you writing blog posts? Are you doing Facebook lives? Are you doing using video? Are you using video? And using my meaty the method where you’re doing lots of really short videos and getting them out there and syndicating, um, what is it that you are doing to be able to let people know that you know your stuff and to connect with people and stay top of mind? Now what’s working? Are there some of those things that you’re doing because you’ve always done them or you think you should do them but they’re not getting results? So simplify, you want to be doing a few different formats so that you can get people where, um, you know, in different ways that what you have a really good look and can I declutter? Are any of those things really not getting me the results? Now I’ve just got a little bit of a disclaimer here for you. Depending on what stage you’re at in your business. If you’re before you’re ready to launch and you’re going to be, if we can think of like a, you know, an airplane taking off where you’re ready to launch with your new, your programs, your products or whatever you’ve got. And then when you’re sailing in the air, that’s when you’re, you know, you’re helping your clients and it’s all working beautifully. Now, if you’re not at that point yet where you’re launching your programs, um, you know, whether that’s through a launch process or whether that’s through one on one, however it is that you’re letting people come by leading up to that, you need to be building your mailing list. You need to be getting people’s attention. You need to be visible. That’s like a runway. So for an airplane to take off and get enough lift, it needs a long runway. And a lot of times that’s, you know, that’s what we’re going to be creating content. You’re going to be building your mailing list. And a lot of times you might look at that and go, well, Janice has to de Clutter because I’m not getting any results. Where’s the sales from this? Recognize if you are in that runway phase because you’re not going to get the sales yet. You’re preparing for that. So just a bit of a disclaimer, therefore you don’t go and throw things out until you know exactly what you’re measuring. So you want to be measuring here for how many optins and my getting, what kind of engagement am I getting from people? Um, you know, so what kind of suite of core, um, blog posts am I going to be and are creating that’s going to end up being my, um, my pillar content. So, um, so have a look at that. And so have a look at the way that you are creating content and getting people know that you’re attracting people to you. Can you declutter there? Now we’re up to number six. So we’ve had, we’ve had a look here at your, you’re basically, you know, your, um, from attracting people through your content, through to your opt in, you know, products to your clients. Now the next thing we’re going to have a look at is your staffing. Now by that I’m also including you. Okay. So it could be you or you might have a virtual assistant, you might have staff, you might have just people that you call in every now and then, um, it might have nobody else. Um, what I want you to do is have a look at that and think, is there anybody here that if they were to tell me they’re going to leave, I’d be absolutely mortified. And if there’s anybody that goes where you go, well look, I wouldn’t be too upset if they left. You know, they, they, they, you know, they’re not doing that fantastic job. Well maybe that’s time to declutter cause you don’t want to be surrounding yourself with mediocre. Um, are you, um, maybe when you’re looking at that, you might be thinking, well, okay, I’m paying for a virtual assistant. Am I using them to the full capacity? Maybe I can get somebody off time or maybe I need to be looking at what I’m doing and delegate better. So that comes back to you having a look at yourself as well. Can you actually declutter yourself? Are you spending your time on the things that matter or how you doing busy work of stuffing around with your website and playing around on social media. Um, so be really, really honest with yourself. Can you declutter yourself as the person who is, um, you know, producing, you know, is the person that’s running the business that’s attracting the clients and that is running it. So can you de Clutter your own time and can you declutter any of the support team that you’ve got that you may have, somebody that you’ve been keeping on cause you, you, you don’t want to go to the effort of getting somebody else so you don’t want to hurt their feelings. Let that energy go, okay, you can attract somebody. Awesome in instead. Now the next one we’ve got, we’ve got three left now while we, we’re working on what is using up your bandwidth. When we decluttering your self and decluttering your brain is I want you to have a look at what email is so you on and you know, groups, Facebook groups, are you on? Those sorts of things that can be using up your attention because they’re coming into your inbox and they’re just dicks. They’re making a mess or that you get distracted with these groups that are perhaps on Facebook or linkedin where ever it is that you’re working. Now, what I want you to do is work out your criteria of what is it that I really do need in order to grow my business or whatever it is that you’re on. These different groups or things for what do I need and and which are the ones that I really look at all the time. And if there are ones there that you know, you’re just on them because you were curious and you’re on that list or somebody else added you to a Facebook group, set yourself a timer and just unsubscribe on those Facebook groups. Just get rid of them. Okay, now of course you’re going to stick with my baby. But you know, that’s all clutter that’s using up your brain and it’s distracting you. You want to get down to the minimalist so that any of the energy that you’re using is going to be effective and calm. Now, two last ones, and this is going to be coming over to the techie stuff that you’ve got in your business. Now, one of them is how many software subscriptions have you got that you’re not even using? Maybe you signed up for something that was going to be, I dunno, the bee’s knees for automating something, but you’ve never actually used it. Well, if you’re not using it, go and get rid of it. Okay? So as well as it’s going to save you money, it’s going to be saving that stuff that’s in the back of your head where every now and then something comes up and you go, oh, why do I got that anyway? I can’t remember. So just declutter on and it’s on the software that you’re not needing streamlined. Keep it simple. It’s less things to learn and it’s also less things to go wrong. And now we’re up to the very last one because once you’ve done this declutter annual simplified, does your website and any of your social media presence, the places that represent you and your brand, do they actually represent these, this beautiful decluttered view or view to can people go to your website and see what it is it you stand for, what your programs are, the best way to join your mailing list that’s going to attract the right people? Does your website do that? Now he comes a big disclaimer. You know what I talked about before about De cluttering you and your time and I said that one of the things that you might be doing is busy work. That seems really, really important and it’s keeping you busy, but it’s not actually making your money, growing your business, helping you make an impact. One of those can be constantly tweaking your website. So when you’re doing this, make it sure that you are very, very clear with your audit of what needs to go and then set your timeframe to do that. And if you haven’t been using a virtual assistant efficiently, this is the list of handover to them. So just that disclaimer of don’t get sucked into, I’m being really busy make, doing stuff on my website when all you’re really been doing is, is fiddling around. Okay. So, but this is the last thing that you going to do because you want it to represent this beautiful minimalist, lovely decluttered energy that you are clearing around yourself that you are clearing around your business so that the good things can flow in. Okay, so that’s Janet’s nine different parts of your business that you can be decluttering right now. And what a great time to do it because as I’m recording this, it’s just at the beginning of the year and as I also said, this is really close to my heart at the moment because I’ve decluttered in a seriously big way. But this whole year for me has been a declutter of really simplifying my business. And this week made or last week made the big step of wonderful web women. My award winning website that served me for 10 years has been wiped from the face of the earth. It has gone. And so that is a, that’s a big step in the declaring. All right. I would love to hear from you if, you know, if you’ve got some great tips from here, why don’t you take a screen grab or you know, take a photo of your screen when you’re, if you’re, if you’re watching this or just of yourself when you’re listening to the podcast and com and share it over and on Instagram or on Facebook. but do you want to see what we really look like? You can see the video version of this episode over at Romance, your tribe.com and grab the show notes while you’re there. And if you enjoyed this episode, I really appreciate if you show them love and leave an honest review on iTunes or your favorite podcast directory. I’ll see you on the next episode. Where is Wonderful Web Women? Hey if you clicked on a link expecting to arrive at Wonderful Web Women (or anything that starts with Wonderful Web for that matter) and you landed up here, you are in the right place! After 10 wonderful years Wonderful Web Women has closed and the website you are on now is the next stage in the evolution of this powerful tribe online. 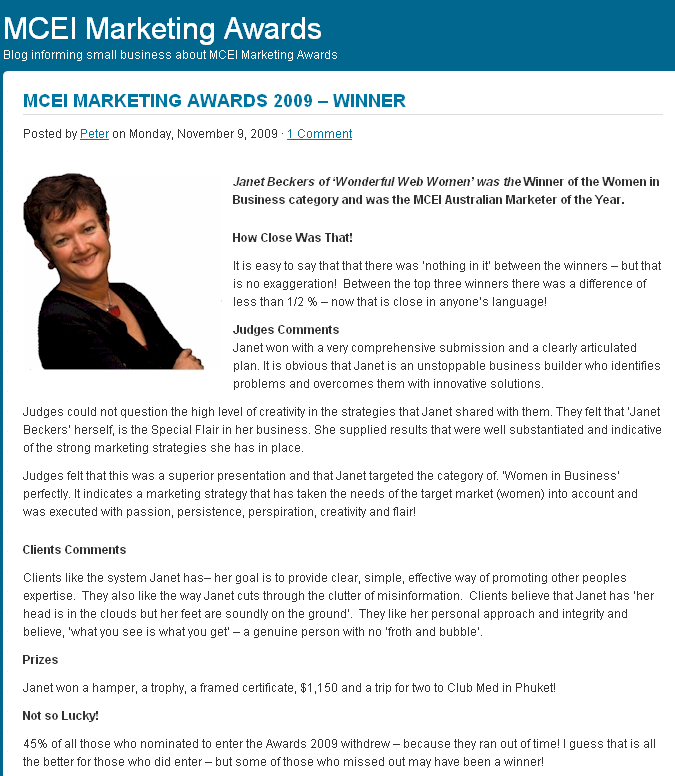 Read on to find out The Wonderful Web Women story and watch or listen to the behind-the-scenes podcast to learn how the Wonderful Web Women brand built so quickly, why it won so many awards, and why on earth I chose to close my award winning website and launch the Romance Your Tribe brand. 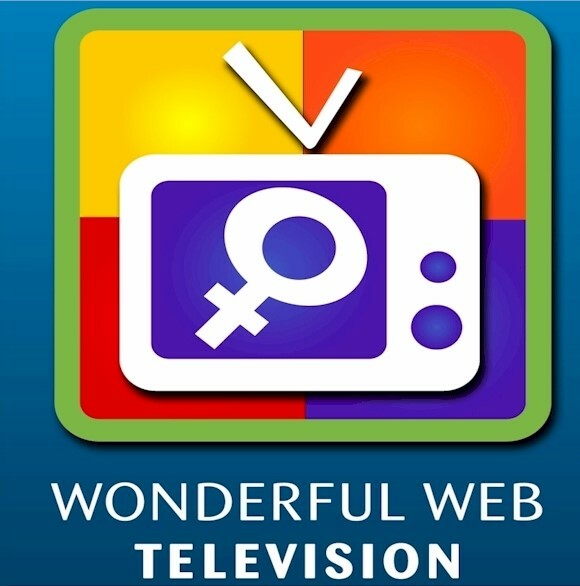 Looking for episodes of the top ranking video podcast Wonderful Web TV? You can find 4 years of short and sweet Marketing, Motivation and Mindset videos over here on Youtube. It seems like hype to call Wonderful Web Women a revolution. After all, at the time of writing in 2019 there are many powerful business women online creating a true impact. They are leading their online tribes and visible as leaders alongside visibly successful men online. There are also many wonderful online communities of women supporting each other to create success in a way that builds on the strengths of women and defines success in a way that is meaningful for women who often have many hats to wear and roles to fill. Yet, over 10 years ago the online space was very different. It’s hard to believe that women were hungry to find visible female role models creating success online. There were also far fewer online communities for women to find like-minded women creating successful business online. Yet the reality is, 10 years ago online business was dominated by men (far, far more than the still male dominated industry in 2019) and women wanted change. Wonderful Web Women became an early leader in that space. If you’ve ever been to a conference and tried to go to the Ladies toilets in the lunch break, you’ll know what it’s like. A long line of women with full bladders spilling out of the doors and into the hallway! “Why are there only men on stage?”. What if I could find successful women online and interview them about how they have created success. Would people want to listen? Can I make money from this idea? I’d been burnt in the past by not researching a business idea thoroughly enough before investing years and all my savings and credit on growing the business. I was wiser by then. So I spent months, attending Internet Marketing Conferences, and believe it or not, conducted my market research in the women’s toilets using an MP3 recorder! I knew without a doubt there was a huge demand and there was the potential to make this work. I just had to find all these successful women, work out a way to interview them, build a mailing list, create a new website and work out a model to make business. So I did the obvious thing: I set a launch date, announced it to everyone I knew then went flat out trying to work out how to do it! Look and listen. Business ideas are everywhere. You don’t have to research in the ladies toilets. Facebook exists now! I’ll cut out describing the months of lack of sleep (my kids were still young and in primary school then), the stress, the self-doubt, the scrambling to find things to sell on eBay to pay for website software (wordpress wasn’t mainstream then for membership sites), the incredible support from my husband and the way I grilled everyone I met, on techy stuff, marketing stuff and business models. The money I spent on digital programs on “how to Interview” and “How to make money online”. I mentioned before that I launched with an 8 week telesummit. The problem is, the 8th speaker was stuffing around on the dates (well her assistant was) and I was going live without a confirmed last speaker. So I did something a bit crazy. I scheduled MYSELF as the final speaker and the topic? “How to build a targeted mailing list and gain instant credibility through the power of joint ventures and expert interviews- in 6 short weeks”. Good grief! I had a list of zero and literally spent my last cent in my business account the day I wrote that. It was the day before I did my first interview! When I presented (I got a customer to interview me) I had actually achieved exactly what I said I would (phew). I sold my first program for about $500, before it even existed, on the topic of….you guessed it….”How to build a list of thousands and turn your passions into profit in 8 weeks”. The guest experts were so grateful to have a platform available focusing on women in business online, they recommended their peers be my guests. I had a waiting list! Business success is about building and nurturing an engaged tribe and that starts with first of all identifying a tribe without a place to hang out. I found that in the women’s toilets! It is one thing to find and attract your tribe. The real magic happens when you immerse yourself in your tribe, listen to them and allow yourself to trust the tribe and open yourself to “go with the flow” with opportunities. That’s what Wonderful Web Women developed into and has been the basis for this next phase of growth. One of my guest experts, loved what I had created with my tribe and invited me to be a guest speaker at her conference in the USA. I had to be prepared to travel there, speak for 90 minutes, and sell a program for a minimum of $1500. I said yes! I had no idea how to present and sell from the stage so I did the obvious….I found a leading female expert on the topic and interviewed her! My program I had created was only $500 so I had to find a way to make it more comprehensive. So I ran a workshop, filmed it and included the DVDs in the package. Plus extra goodies. On return to Australia I started receiving lots of invitations to present from the stage because now I was an international speaker! I co-authored a best selling book (an invite from another guest speaker). During this time our host went belly up during the financial crisis. All our websites (our income) disappeared overnight. Then our backups didn’t work! I cried. We rebuilt. We didn’t lose 1 customer in the month it took to rebuild and in fact, we gained members. That is the power of tribe. 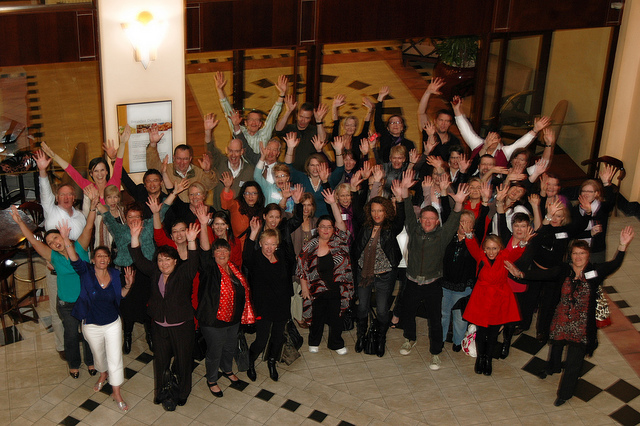 I became a best selling author, international speaker and award winning mentor in a short time because I made friends. Seriously. I adored my guests and created friendships and opportunities came from that. I adored my members and subscribers and so looked for ways to give them opportunities. Tribes consist of friends. Relationships lead to business success. Say yes to opportunities then figure it out. One successfully completed opportunity will open doors to far more. You’ll notice Wonderful Web Women was built on live interviews with a thriving paying community built on a simple model of people paying for access to an archive of recordings and transcripts. Can you imagine that working easily now? Podcasts are so popular now you can get access for free to a wealth of great content. In fact, the interviews I do for my podcast Romance Your Tribe Radio are very similar to the one’s I did all those years ago. I saw that change coming and so changed the business model to become monthly training modules on topics my members asked for. This turned out to be a LOT of work! I also launched my first high level group coaching program. HUGE learning curve for me! I ran my first 3 day live event at $1000 per head. Respect to anyone who does this. Huge learning curve for me! Wonderful Web Women started to change focus because it was not so much about women role models. As you can see, since the initial revolution things have changed. I found my tribe asking more for my step-by-step trainings and wanting more of ME, and less focus on spotlighting other female leaders online. They were actually starting to say “You are no longer the passionate reporter Janet. Step up and claim your space as the expert. We want YOU”. To be honest, I resisted this for a while and could have seen the demand for this much earlier if I let myself. It actually took individual customers contacting me and saying “…girl, we need to talk”. They challenged me to step up further. See why I love them? I developed a signature system to build a strong tribe online and a loyal tribe, the way I do things. I called it Romance Your Tribe. I launched a comprehensive training program called Shine Online. I also launched a video podcast called Wonderful Web TV that ranked in the top 10 in iTunes in Marketing for the 4 years I published it. I gradually started to feel the name Wonderful Web Women no longer reflected what we actually do anymore. A feeling on incongruency started sneaking in. You will evolve in your leadership and capacity to impact people. Be prepared to step into that leadership. A signature system, with your unique language, can actually create a sense of tribe, even if there is no longer a revolution. Create training resources to help your clients get results with your systems. This will free you up tremendously. You can choose to work with lots of people at a low price or less people at a high price. It’s difficult to combine them (I share a story on the podcast above of one client who tried to join the $47/month program but we had removed the buy button from the order form just that day. So she purchased a $10,000 VIP program instead! We are still great friends!). If you start to feel incongruent, take notice. This will start to hold you back. You see how the last lesson I shared, was the sense of incongruency I started to feel about what the name Wonderful Web Women stood for, and what the business has evolved to? I knew I was no longer true to my roots and this incongruency was starting to sabotage my confidence to step up. I consulted with colleagues for an experienced impartial view. I decided to apply my own Romance Your Tribe System to my own business, starting right from scratch, working through the exact steps and exercises they would use. I made the decision to make my system the star of the show (with me as the co-star), instead of “Women in business” the star of the show. I developed so many insights by systematically applying my system to my own business that I created streamlined templates, systems and training material so my clients could apply the system to their own business faster and with less stress. I created, launched and sold the most comprehensive and awesome program I’ve created so far called “Attract Your Tribe” and seen my members seriously kick some goals. I developed new branding, new messages, new logos, new website that really reflect what I now stand for. I simplified my business further with a nested business model of VIP clients part of a tight-knit group implementing the Attract Your Tribe program (and so proud of the results they have been getting). Closed Wonderful Web Women for good in January 2019 when current members of the Shine program had completed their training. There is no better proof that your system works, than treating yourself as if you are your own client and do the work you ask them to do! If you feel incongruent, acknowledge this and take action. Otherwise your business and confidence will slowly erode. It can easily take a good year of solid action to detonate a brand and build a strong foundation of your message, marketing and offers. Longer (much longer) if you do not have a proven system to follow like Attract Your Tribe. The past year has been a true investment in Sweat Equity. It’s been a lot of work! Experimenting with marketing, launches, content and great ways of including my tribe in all my marketing and connecting strategies. Focus on getting great results for my existing and new clients in my comprehensive training at Attract Your Tribe and working with my VIP clients (Those in the Attract Your Tribe Accelerator Program and my advanced business owners in my Rising Stars Program). Actively inspiring and enabling the wonderful people in my online tribe to step into their own power as a leader of their own tribes online. Help people, who help people, help more people! Have you been part of the Wonderful Web Women community over the last decade? Let’s have a reunion party in the comments below! Transcript will be available soon! As I write this, it’s only a few sleeps until the end of the year and my family and I are looking forward to our end of year business ritual. This will be our 12th year completing this ritual and we all look forward to it as it is guaranteed to finish the year with a bang. It’s a lot of fun. I’ve introduced this ritual to many of my customers over the years and I look forward every year to hearing their stories and seeing so many of them including their version of the end of year business ritual in their own families and businesses. In this week’s podcast and action article, I’ll walk you through the entire process and importantly, WHY this step is essential for you as an entrepreneur before you finalise any plans for the following year. The type of energy you have before and after this exercise, and how that relates to business growth. I also show you the roll of our 12 years of this ritual and talk about how they have evolved since my children were 8 and 9, and are now 20 and 21. I also show you one of my most recent boards so you can see what they look like and what sorts of things we included on it. This year will be yet another stage in how we complete our end of year ritual. That’s because my son will be back-packing in India. He didn’t want to miss out on our ritual so this year we will be adding a virtual video component to the mix. It will be interesting to see how this works out. You can see “my baby” here, already looking like a local! And hey, if you want some tips to get the conversations flowing at Christmas, especially with the second cousin, on your step-brother’s side, you’ll love this simple exercise over here. Now if you’re like me, even as this year is winding up, you’re probably already planning for next year, and may already have your next year plotted out. But a word of warning…… if you attempt to do any planning before doing an exercise that strategically clears negativity about the previous year, makes you think “big-picture” and builds your confidence, then your plans for the next year are likely to be ho-hum, uninspiring and even set you up for failure. This exercise is called The Celebration Board and it is an end of year business ritual I’ve been doing for the past 12 years. It ends your year with a sense of celebration and is also a lot of fun to involve other people in, such as your family, friends and business team. At the end of the year it’s really normal to feel quite overwhelmed. There’s a lot of expectations and demands draining your energy. As well as trying to “wrap things up” for the end of the year, organise Christmas presents, family gatherings and meeting other people’s demands, you may also be thinking about your plans for business and personal for the next year. Most likely, either formally or even subconsciously, you’re reviewing what you achieved this year compared to what you had planned. How dies that make you feel? Maybe you’re disappointed and don’t think you achieved much? How can you keep this pace up next year? Or how can I even do better? Whichever of the above sounds right to you at the moment, the energy you have at the end of the year is the WRONG type of energy to bring into the visualising and planning process for the next year. Your energy may include frustration or disappointment. It may include overwhelm and exhaustion and even a sense of panic. It will always be an energy of “doing” and task focus, simply because there is a focus on wrapping up and the crazy to do list. It’s going to be small. You’re going to end up making a to-do list. This limits the kind of planning you would do. You’d end up doing the same old. You won’t be able to think creatively. There will be a small-minded energy in the planning you will be doing. We don’t want to do that. We want to make your next year your best year yet. Even if the previous year has been your best year yet, or your lowest. Even if you have already done your plan before the craziness started, it is important to review it again after completing this end of year business ritual. The whole purpose of this ritual is to acknowledge the different things you have achieved this year. With this ritual, you’d be bringing in to your planning a sense of gratitude and well-being. Instead of panicking, you’ll clear out the panic and the heaviness of the to-dos. I’ve been doing this every year with my family, starting when my children were still at an age where I had to really convince them to sit down and do something for a long time. Now that they’re 20 and 21, they’ve come to anticipate the Celebration Board. They ask me when we’re going to do it because they really feel as if they own the ritual and they look forward to it every year. They looking forward to creating this celebration together as a family. Now you may not have family, or don’t want to involve them at all. That’s totally cool because, this is YOUR end of year business ritual so you can include who ever you like! The first few years I did the exercise on my own first and then afterwards would drag my family in with a “you’ll love this, really”. Now we also include Leo The Dog! We use a huge sheet of paper and coloured pens. Some people like to use pictures and clippings from magazines. Others like to do it as a powerpoint presentation or other software. We just keep it simple. You could do it one person at a time or you could work on it simultaneously while sitting in a circle or at the table. The point is for this to be an enjoyable experience for everyone. Decide on a date and a time. Make sure that everybody sticks with that. Christmas is usually a great time to do this because that’s when you usually gather with people important to you. But don’t let distance be a barrier. It can be a really good thing to have everyone on board. As I mentioned above, this year we’re gonna have to change how we’re going to do this because my son is backpacking in India for 3 months. He told us that we couldn’t do it without him, so now he’ll be joining us via video call. We’ll work out how we include his contribution in our final Celebration Board. Every single person has to prepare because it’s so easy to forget what you have done. Social media is excellent for this. You can go through Facebook or Instagram. You might also go through your phone gallery, emails, or your calendar. Whatever it is that would help you identify things that were significant to you and your life. Alternatively, look at the events in your life that are negative. This could be a sickness or a death in the family, or any kind of loss. You might also think of a time that you’ve felt really depressed and could not feel motivated to do things. Those things are really significant. Have all these major events, and also significant small things in a list you can access on the day. When you get together, get a big piece of paper you can do it on. Get your materials and that’s all you need. As you start, assign a corner to each person and start writing down all those significant things. Acknowledge the positive and negative things as things that have happened. Eventually, you’ll find things about them to celebrate. The important thing is to focus on the learnings and to focus on celebrating. That’s why it is called a Celebration Board. For example, one year my mother was very sick and needed a lot of personal support (emotionally and practically) for that year. Instead of focusing on the negative, I celebrated the fact I was able to care for her. There are always positive things for you to celebrate which are learnings from surviving hardship. Celebrate the wins and celebrate the learnings as much as the wins. Take your time. Just write it down or draw, whatever each person is more comfortable with. My husband likes to draw because these things are triggers that he can figure out right off the bat. As you do this, talk to each other and remember the things you achieved or enjoyed during the year. Be honest with yourself. Other people don’t have to see it. So take the time to really process what happened this year and what you can take to make next year better. Focus on the learnings that you have and what you are grateful for. That way, you identify the things that really came to matter even as other things fell apart or didn’t grow. That’s the energy you’re going to bring in to your planning. For me, there was one year where I was traveling a lot – which I love – but I wasn’t doing it with my husband. So we set the intention that the following year we would focus on travelling together and romantic weekends away. And more importantly, what did you learn from them? When we have completed our Celebration Board we put it up on a wall where everyone in our little family can see it for the next 12 months. That way when we walk past it we can celebrate our achievements and life lessons again. Then we store every year’s Celebration Board together and bring them out every year when we complete our end of year business ritual, and reminisce and celebrate. You may choose to put it in your office or somewhere private you can look at when you choose. Some people even photograph their Celebration Board and use it as a computer background. If you’ve done this before, I’d like to know. Tell me all about it on the comments. Have you made it a ritual? How is it impacting your life? Feel free to share a photo of your own Celebration Board on Facebook or Instagram. Tag me @janetbeckers and use the hashtag #CelebrationBoard so we can celebrate all of it together. I’ll share your post with my friends. You can see a succession of my celebration board videos over the years, over here. Hello and welcome Janet Beckers here and nearly the end of the year. I hope that you have had a fantastic Christmas time with your loved ones and if you’re like me and like most people as well as having a chance to relax now, now are you really thinking about the new year. There’s lots of talk about what are you going to be doing next year what are your plans? What are your goals? Now. I’ve got lots of other resources that I’ve been sharing with you this month on how to plan for next year. But hey I wanted to share with you the very very first step that I do every single year before I finalize my plan for the for the new year. And it’s a really important step to take. Unfortunately it’s also a really fun one. So what I’m going to share with you today is a ritual, really, that I have been using with my family now for 12 years. And it’s something that ends your year with a sense of celebration. With a sense of energy and optimism that you bring in to the new year. So I’m going to share with you why it is important to do this activity now. If you haven’t done it, next year you may even do a little bit earlier. But really important to get this done before January. Why it’s important to do this, and then we’re going to walk you through step by step exactly how to do this and how to actually make it a bit of a ritual with you and your loved ones. It’s a really exciting activity. So let’s get started and I shall share with you what it is. Now, every single year, I do what is called A Celebration board now why are you in a moment what actually one looks like. Why do you want to do this? Well, when you are leading into doing your planning for the next year normally around about this time of the year, You could be feeling really overwhelmed and quite exhausted. You know there’s a lot of expectations a lot of demands on your time and your energy at this time of the year in your business and also just personal. You know what it’s like you know getting the Christmas presents. And organising whose you know whose place you’re going to go to at what time. All of those sorts of things that take a lot of your headspace up. And it’s also a time of the year where, if you haven’t already done your planning for next year which you really should have, but if you haven’t and you’re going to be really focusing again on reviewing your plan for the next year you can be looking back at your previous year, like the one that you’ve just finished, and thinking a sense of “I haven’t got anything done,” You know “I set myself these huge goals or they didn’t even seem huge at the time and what have we haven’t achieved them or if I have achieved them”. You may be thinking “how am I going to do better next year or how am I going to build on this or how am I going to have the energy to be able to continue to do this?” These are really normal things. I tell you what when you were coming in to doing your plan for the next 12 months or reviewing your plan that you have already done, which is just a really normal thing for you to start doing at this time of the year. If you bringing that energy of, you know, a frustration of disappointment. or If you’re bringing in that energy of “oh you know I’ve got to get all this done before the end of the year”. That panic, that sense of tasks and to do if you bring that energy in to your planning for the next year. You know be thinking two things. One is it’s going to be small. You’re going to be really bringing a “task energy”, “to do energy” into your plan and. That’s going to really limit what kind of plan you going to do. And it will very often mean it’s going to be the same old same old. And the other thing that’s going to do if you bring that energy in is you very often will not be able to think creatively about what is possible. And so you can be bringing in a very small minded sort of energy that comes into it. So we don’t want to do that because we want to make your next year the best year yet. Even if the year that you’re just finishing HAS BEEN YOUR BEST YEAR YET. Or it’s been the worst year yet. We want to make next year, your best year yet. So to do that we have to make sure that we’re bringing in the right energy. So the exercise I’m going to share with you is actually a really enjoyable thing to do and the whole purpose of it is to really acknowledge the different things that you have achieved this year. Now if you’re thinking well I haven’t done much to stick with me okay. So it’s going to acknowledge and celebrate the things that you have achieved that year and to be bringing in a sense of gratitude, a sense of well-being, and a sense of clearing out the panic. Clearing out the overwhelm and the heaviness of the to-dos. Because we want to bring in that beautiful optimistic confident energy into the plan that you can be creating. So this is a really important step to do. And fortunately, it’s a lot of fun. So let me introduce you to the celebration board Now this started, the first one that I did, was in 2007. So let me just show you who see this big roll up paper. You can see the end of it here like it goes. Woah! Can You see that? Layers and layers and layers. So 2007 was our first one. And so as I’m recording this this is the end of 2018. So this will be number 12 that we have done. Now when I say we, this is something that I do with my husband and my two children. So I’ll give you a look on what one looks like. So you can see. And also on the podcast page. I will put some photos. I’ll blur out the details simply because this is not just me. This is also everybody else in the family. But what we do is we get a great big sheet of paper. Lots of colored text. Put the year in the middle. This one’s 2016. And each person’s name is on there. Now. It’s. A little bit hard for me to be able to show you here. As. You can see. Really quite big. So let’s run over with you. What we’ve done, so you can get an idea. Now. Now. I really love to be able to involve my whole family doing this because the reality is, that you know. It may be your family. Or it may be friends. It may be your dog and your dog usually makes it every single year. But it’s really lovely to be able to do something like this with the people who are impacted by what happens with you on a day to day basis. And you’re impacted by what’s happening with them. It’s a really lovely thing for you all to get together and acknowledge and record everything that you have done. Now what we do. And so the first one we did it was in 2007. Now my youngest was eight at that time and my eldest was almost 12. So they were, you know, they were young. Now as you would probably know with kids that age, sometimes you really got to convince them to do something that means that going to sit down for more than five minutes. So the first few years that we did this required me doing a lot cajoling. Now that we are in 2018. I’ve got a 20 year old and a daughter who is going 22. By the time that you see this, she will be 22. She had her birthday just before Christmas. So that’s pretty different. So we’ve been doing this every single year. So now we have our children instigating it going. “When are we going to celebration board? We’ve got to do it. What date are we going to do it?” And they’re really looking forward to actually creating this celebration together as a family. So we’ve got to do it via Skype and we get to work out how we’re going to get his contribution onto our big family sheet. but That’s. So it doesn’t even have to be that you’re going to have the people who you want to do this with need to be together. But I’m sharing it with you here around Christmas time because I know that there’s a very good chance that you may be with your loved ones at the moment. So don’t let distance be a barrier. It can be a really nice thing to be able to do virtually. So how does it work? The whole idea is that we get together using a creative way so we do colored text, lots of drawing. Some people who are taught this to like to use photos or magazines or things like that. We just keep it simple and we set ourselves a well I had to set a timeframe when the kids were little (laughs) just to promise them that it was nearly over. But now that they’re bigger you know we you know we’ll set aside a date and we’ll set the time to do it. So we actually live with it for the year which is really nice which is why the latest one that I’ve got here is two years ago. So. Let’s go over. Some of the things that were there from last year. From 2016, two years ago, that I can just see from this one and then I’ll guide you through. You can do this for yourself. So for example if I have a look at mine. This might work for you. So we’ve got each of us sort of sits around it. so It’s all at different angles because we’re all sitting around this table. So for me. I’ll turn it around. There might be a bit of noise. So I’ve got things like for business wise you know that I launched my video marketing program so I around ran workshops. And my daughter who was studying event management at the time actually came along and was the event manager. So we got to travel what we did those workshops so that was that was a big event. We also did things that particularly here I was the patrol captain for our surf club. For our patrol. And we actually won the Best patrol of the year which was pretty awesome. And then I had a bit of fun because they they lifted up to me, they put the embroidery on the winning jacket. So I changed it and put most awesome patrol as the official embroidery on my jacket. So I’ve got there a picture that I’ve done there. I’ve also just written there about some fantastic camping and kayaking with my husband. I also put, you know, here was an interesting one. My mum was really sick that year. Now I could very easily have put down here that that was a negative you know because I spent a lot of time with my mum. She was very sick and I went there but you know what I put down that I got to care for my mum. I Was able to be there. That was something that was a real positive from that. You know I’ve also been able to put things here like you know swimming. Going swimming with my friends. A weekend away. Actually I was being written down about 50 kilometres away and I really liked it. Some weddings we went to. When I was in the United States. That I was masterminding the high mastermind but I also made sure that every single time I went over there from asked why I stayed longer and explored. So that was a pretty good year. Yeah that was a pretty firm one. We’ve also got things like, you know, my kids put things here about this one here my husband my my son was finishing high school. So for him he put down about all the difference even though yes he was studying for his HSC. He’s still we got there about all the different festivals and bands he went to ’cause he’s just obsessed with music. And we also put about you know he took over being patrol captain for me. Oh he got a beautiful girlfriend. Gosh she was beautiful. still Is beautiful. My husband put down lots of things to do with his art and his gardening and his work. We put down about where we bought our first Aboriginal art as an investment. My daughter and I. All these different things that we did together and you know. And going and seeing Macklemore together. I was probably the oldest person in the audience but I was probably the loudest as well. So that’s it just gives you an idea of the kind of things that. Is. Going to throw that down. So for me that was a great year. We had a lot of fun but also at that same time, as you saw, you know I was doing a lot of caring for my mum who was sick. So that was actually taking a lot of my time I could have very easily is focused on the negative. So you can see there’s all different positive things. So even just me reading that, I’m feeling a real sense of achievement but I do know that before I went to start that I was going: “oh yeah I did a bit of travelling this year that was really cool but you know”. There was always that sense of frustration of you know there always is. Everywhere we set ourselves big goals “I didn’t get everything I wanted to get done”. But after that I feel really really good about myself. So that is the purpose of doing this. So let me run you through exactly how do you create your own celebration board and create a ritual around that. So these are the steps. Number one: decide who you want to do this with. You can do this on your own at some times especially when the kids were younger. I would do it on my own to start with because I really want to do my planning and I wanted to get this energy and then I would do it again with the family. So sometimes there were two sheets that I had and that’s okay. You can do it more than once. So deciding you know what we are going to do it on your own and then you’re going to do it again later as a family. As a ritual that you do with your family. It’s a really lovely bonding thing to do. So decide who you want to do this with and decide then how are you going to do it. Are you going to do it as a virtual thing or are you going to do it together? The next thing you will do is set the date of when you are going to do it. Set a date and a time and everybody sticks with that. And just that they’re only going to do it with. I was running through this with my Rising Star clients this week. I Was doing this exercise with them and one of them was saying what she’s actually going to be doing it when she’s got the whole family together. Including her kids’ partners because they’re a big part of the family as well. So that’s you know that’s going to be a big part for her is the extended family which will decide to do that as well. So set your date. Now, the next thing is every single person needs to prepare because it is amazing how you forget what you’ve done. Now social media is fantastic for this so I always go back through my last, all the photos that I’ve had in my last 12 months on either Facebook or Instagram. Now for you you may not do much of on social media. You may go through the photos that you’ve got on your phone. That may be your trigger for that. You might go through your calendar and look at the different things that you do especially with business. You may not have documented those so much through photos but go through your calendar. Maybe even go through your e-mails looking for big things. Whatever it is it’s going to help you to try to remember the things that were significant for you that year and that also includes the things that were that you could perceive as a real negative. You know you might have some sickness in your family or yourself. You may even have deaths in your family. You may have had a time or where are you just feeling depressed and could not feel motivated to do things. They still count, okay? They are really significant because then what we’re going to do is when we get together, which is the next step. First of all, you’re going to get you know you need the materials. We get like a big piece of paper. We can go down to the newsagents and get a nice big sheet of paper. We just find that bigger is better because it just allows you to be freer. We get either coloured textures or colored pencils and really that’s all you need. I don’t have to complicate it. So you’ve got to get those. Now what I say about including things that might be really negative because what we’re going to do here now is we’re going to get we’re going to get our own little corner and we’re going to be creative with our colour. And we’re going to put down those significant events. And these are really nice things that you’ll be discussing that with each other as you’re going. It allows you to process so even those negative things is to look at to acknowledge that they happened and then to look at what was something that you can see as a sense of achievement around that. It may be, in the case when I was talking about, you know you may have been feeling really depressed. You know what I kept on going. Or it may have been you know there was something happened with your business. That you didn’t you didn’t get the results you wanted but you can be putting in there. You know what, I did the work. I learnt a lot through there. Celebrate the wins and celebrate learnings as much as the wins. Okay. So what you going to do now is just take that time is to just do what you want to do if you want your drawings or you just want to write words or a combination. Whatever works for you and each person can do it differently. You know how I want to. My husband’s I had to guess what they were for that year because he’s always just drawings. But they’re really they he knows what they are straight off. They’re triggers to remind you. So this is take that time to actually talk amongst each other and go to go to each other. “Ah remember when this happened or when know was that”. And be honest with yourself because it doesn’t have to be anybody else sees this. We put it up somewhere where we as a family to see it. But you don’t have to you know I can just be you. So that’s the next thing is to take that time to really process. Now the next step is to look at what you’ve done and really acknowledge. Just soak up that energy of, “you know what? Things happened this year. This was my life.” And you know what? Really focus on the things the learnings that you had and what you were grateful for. And know I can remember one year that’s in that pile there where my business really, it stagnated. And that was for quite a few reasons. One was I had kind of outgrown the business but I wasn’t allowed, I wasn’t admitting it to myself. And so I wasn’t enjoying it as much because I was ready for the next step that I was holding on. But also it happened to happen at the same time that my mother had gone through time she was really unwell. Really unwell. She’s had a tough couple of years. You know she’s getting older and she had a lot of problems with her heart. And so for me I think you know what? Every single week, I travel two hours to be with her every single week to take her to the doctors. That is something to celebrate. And it is okay that other things fell apart. Not fell apart, but didn’t grow. Because that was what my priority was that year. So allow yourself to really look at it and to be able to acknowledge things that you’ve learnt. And really acknowledge the things that went really really well. And just acknowledge yourself okay because that’s the energy that we want to bring in. Now when you’re taking this energy and you’re going to be planning for next year and I have whole process that I use for planning for the following year is the first thing you want to ring at any time now you look at what you’ve done and go you know what. What things that happened last year what things do I want to. I’m really happy about that. I want to build on so you can make sure when you’re planning your next year that you’re going to make sure that you that you do that. For me looking at that particular year. I know for me a lot of that was I was travelling a lot which I loved but I wasn’t doing it with my husband. So for me I put down you know what I would do more weekends away I want to do more kayaking. I want to do things just with my husband which is what we did. So those are, you know, they were learnings. What do you want to more of? And what are the things that you had as big lessons that you don’t want to repeat that lesson? But what can you take from that to build into the next year? But if you had seen all of those things as failures or whatever, you can’t bring that energy forward. But if you’re celebrating the learnings that you had, you can bring that into the next year. Okay. So this is a fantastic ritual for you to be able to introduce to your own family as I was saying the first time I started doing this. I have an eight and a 10 year old. Now I have a 20 and a 22 year old and we are still doing it. And there’s no way that the kids want to stop doing it. It’s probably going to be something we have to be doing for decades. And I tell you what, it is fantastic because what we also do is every year now, we open up all the previous years and we go over and reminisce and celebrate again. So it’s a really beautiful ritual to have a really really important, actually very strategic thing for you to do before you set any big planning and visualizing for the next year. And if you’ve already done your plan for the next year, revisit it after doing this exercise and see if there’s anything that you want to change. Okay I’m really looking forward to hearing from you. So I would love very much if you can share with me if you’ve done this. If you’ve done it in the past, because I know I share this every year. If you’ve done it in the past I’d love to hear from you. You know, have you made it a ritual? How is it impacting your life. If you do do one. I would so love it if you would share a photo with me. So come over onto Instagram or Facebook and share a photo of your celebration board. I would love to be able to see that just come and share that with me as well. And let’s use a hashtag. #celebrationboard. That would be a fantastic thing to do. I come over on Instagram come over on Facebook and share that and then you can search on that tag and see if you can find what everybody else has been doing that would be super cool. And just leave comments down below on the podcast page. I’m not quite sure if you can upload images there but if you can. I’m not quite sure if you can be extra awesome as well. All right. So I would love to hear from you and again. Hope you’re having a really beautiful time with your family or your loved ones. Or just also if you want it to just be alone, if you’re getting some time for some space to yourself. I’m hope that you’re actually doing what you want to be doing at this time of the year. I’m really really looking forward to helping you has much fun next year. I have some pretty exciting things planned to really help you. I’m super excited about them. As we head into the silly season we are also heading into the “have fun and surprisingly do great business networking” season as well. In this week’s quick episode I share with you 1 simple sentence you can use that is guaranteed to get the conversation moving in the direction you want and you know what? It works magic at social gatherings, networking events and around the table on Christmas day when you are sitting next to the nephew / sister-in-law / boyfriend-of-second-cousin-on-your-step-mothers-first-husbands-side…. who you haven’t seen for 12 months. I’d love to hear your thoughts and watch to the end where I ask YOU the same question and would love you to share the answer with us all below. Hello and welcome! Janet Beckers here, I’ve got a really short episode for you this week in Romance Your Tribe Radio because you know what? You get parties to go to. It’s just getting really really close to the silly season which is catching up with people having fun but also a surprisingly good networking time of the year. Because you very likely may be either going to different get-togethers that may be know with people who are in your business or are around your business and also, surprisingly, social events that can turn into being wonderful opportunities to end up growing your business. So what me share with you is: How one sentence, phrase, that you can be saying to people. A question that you can be asking them that is guaranteed to really make the conversations that you have so much more rewarding and so much more powerful. And this is whether it’s going to be sitting around the Christmas table with the cousin twice removed that you only see once or twice a year and you really don’t know much about them. You haven’t really been a huge part of their life. Or it might be at a dinner party or a social event that you go to. And you know, it could be used in that occasion as well. So this is the universal question that you can be using for Christmas time conversations. In fact, you can be using it all-year round but it is particularly good at this time of year. When you’re in any kind of social event like this especially this time of the year. A lot of times you can be finding you going over the same information. You know, you’ll get you’ll be really just sort of going through a lot of small talk. I like Tt kind of cut to the chase and really start talking about things that matter. Now here is, lesson number one is you know what, people want to talk about themselves even though, you know, they may be interested in you really. People love talking about themselves and that’s quite cool. So what you want to do is let’s turn it very specifically over to them and this is the question to ask: “Tell me what is one thing, the one thing, that you’re most proud of from this year?”. You know what. It is amazing. The kind of answers that you get from that when I have asked this question of people who I see on a really really regular basis. It never ceases to amaze me that they come out and tell me something that I knew absolutely nothing about. Because it may not necessarily be something that is discussed in the situation where I normally see them. So really. You know it’s a really great insight people even more so I love doing this. We did this last year we had Christmas at our home and we invited, you know, lots of family and there were friends as well that came along. And we did this going around the table. There were quite a lot of people there was a really long table. So it took a little bit of time but you know what? People were getting excited waiting for their turn to come up. And what we learnt about each person was really really interesting because, you know, I got to hear some great things about my nieces. And some other things about my nephew nephew and things about our grandparents. The things that they considered that they were most proud of really gives me great insight to them. So. There is a follow up question as well. So that there were already open up a great conversation without fails you might need to give people a little bit of a prompt. So the next question that follows from that is: “So what’s the one thing that you are most looking forward to next year?”. And this is a really powerful question because you know sometimes people will tell you something around a business school or a career goal or sometimes they’ll tell you about a fitness goal. Or they might tell you about a hobby. Or something to do. Travel. Something that you may not have even realized was going to be big for them. Now. Whether this is in the family or whether this is business, whichever way it is to be able to really help people to celebrate the things that they’re really proud of and those things that they’re looking forward to is: number one it’s just great to be part of that. And if this is around business when it’s the things that they’re looking forward to, it may very well be things that you can help them with or that you know somebody that you can connect them with that is going to be able to help them. And that is all around growing your business and growing relationships. So I really want to hear from you. So come and share with me over here on the on the on where we’ve got the show notes over on the website is I’d love for your show down below. Number one what is it that you were most proud of this year? And what is it that you are really looking forward to next year? So. Let me start it. Let me start the ball rolling. So I will share with you from a business perspective the thing that I’m most proud of from this year. And I would say the thing that I’m most proud of this year is I haven’t really totally restructured the brand and the focus that we, of my business from being Wonderful Web Women, to being Romance Your Tribe. And of course part of that was creating a whole new training program. From scratch. At what I know has got the best results for people that have been working through it. It’s really is the best program I have ever created. I am exceptionally proud of the Attract Your Tribe program. Really proud of that. And really proud of the results. It’s been getting for people so that’s me. That’s what I’m really proud about. And what am I looking forward to next year? Well I’m really looking forward to knowing that now that I have tested this program and I’ve had people who have been going through it and they’ve been sharing with me step by step the results they’re getting, I’m really looking forward to next year to really ramping that up. Because I know I get results for people. So I’m really looking forward to focusing a lot next year on helping more people go through that program. And helping more people if they want more personal help to get them to that next level. I’m really looking forward to that. So for me, creating that strong foundation this year and then building on it next year they are my number ones when it comes to what my most proud of. And my most looking forward to. So I’d love to hear from you now. I’m just thinking my mind was going to all the other things I’m really excited about next year and really proud of this year because of course we’ll have far more than just our businesses aren’t we? We’re really also very much around, you know, our personal side. You know, what to do with our creativity and to do with our fitness and our health and and our relationships. And so I could share so much more of that with you. So we might do that. You know, continue the conversation over on social media. Over through on Facebook, if you’re connected with me there. just Talking about all these different things because there’s lots of things that I’m really, really proud of and very excited about next year. On a personal perspective as well. Okay. So. Can’t wait to hear from you. I would really love to hear from you so if you can answer those two questions for me. What is one thing you are most proud of this year? And what’s the one thing you’re really looking forward to next year? And share them down below. Decision Guide: Should You Use Your Personal Name or Business Name on Social Media?